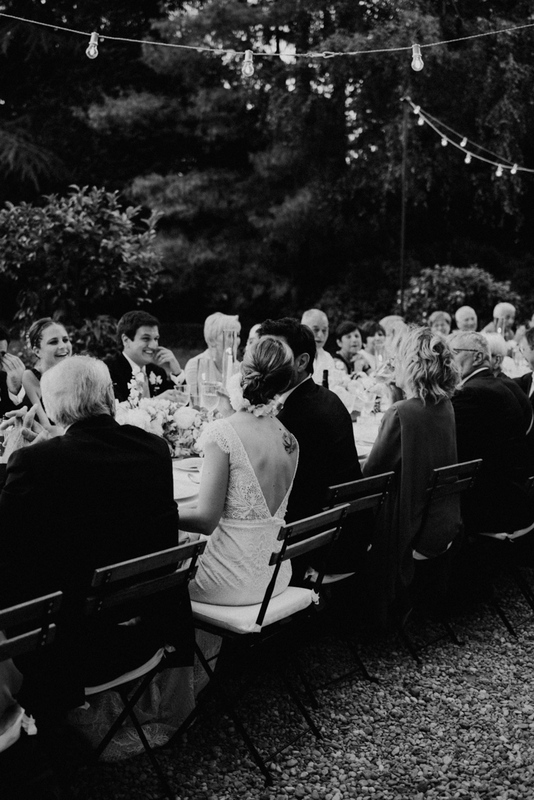 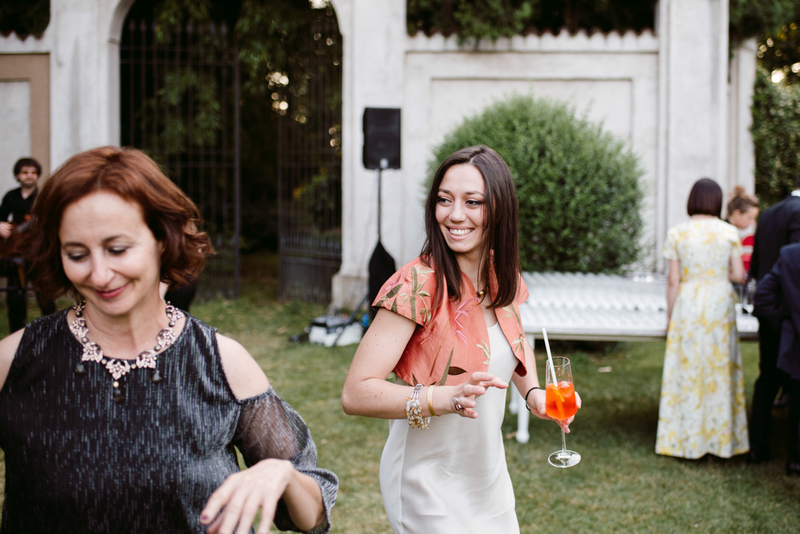 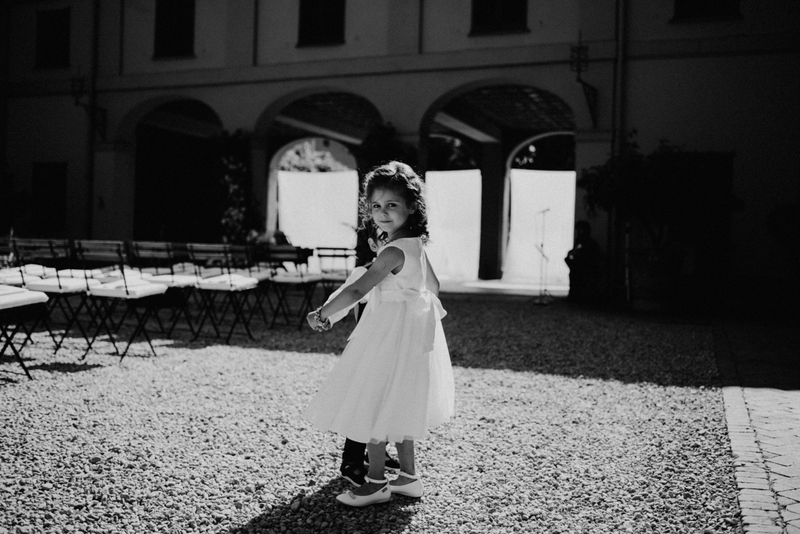 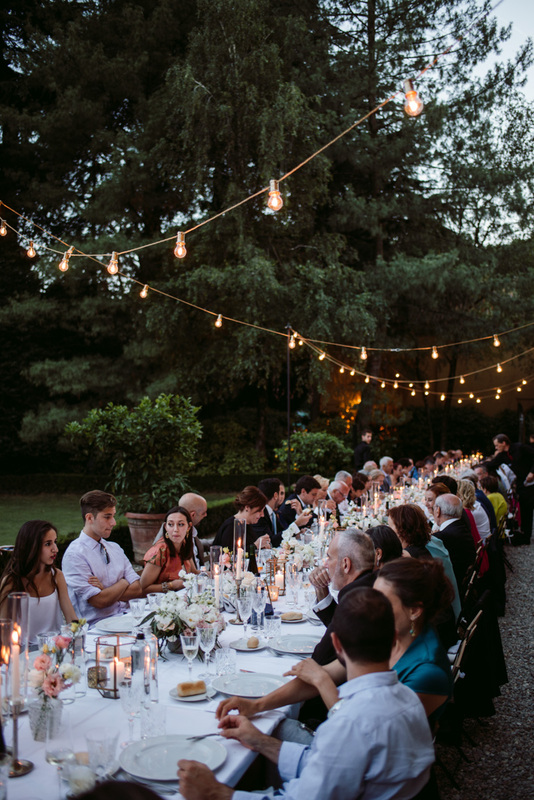 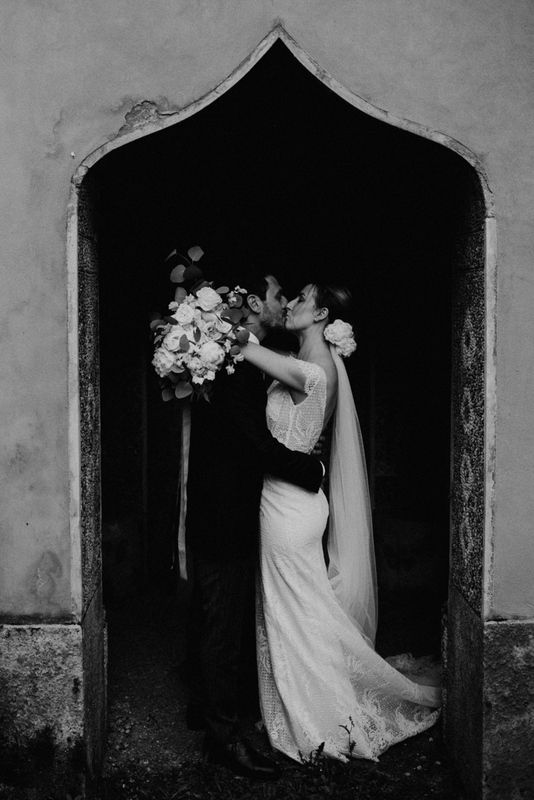 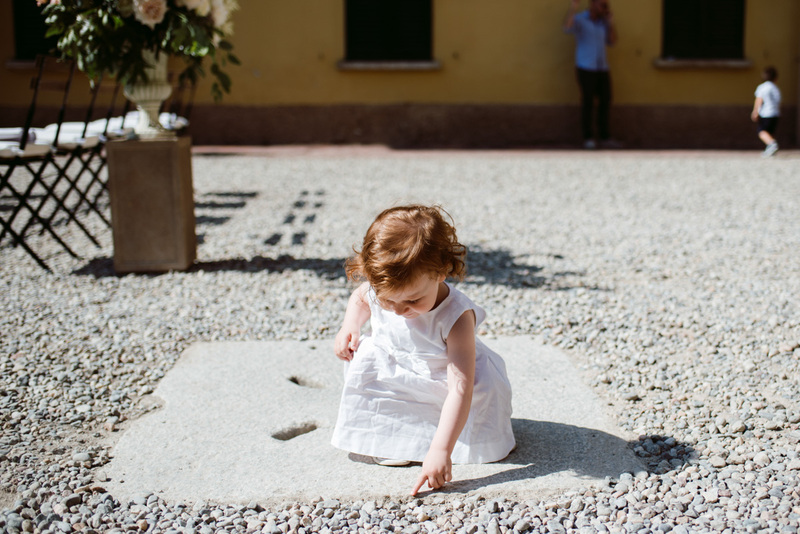 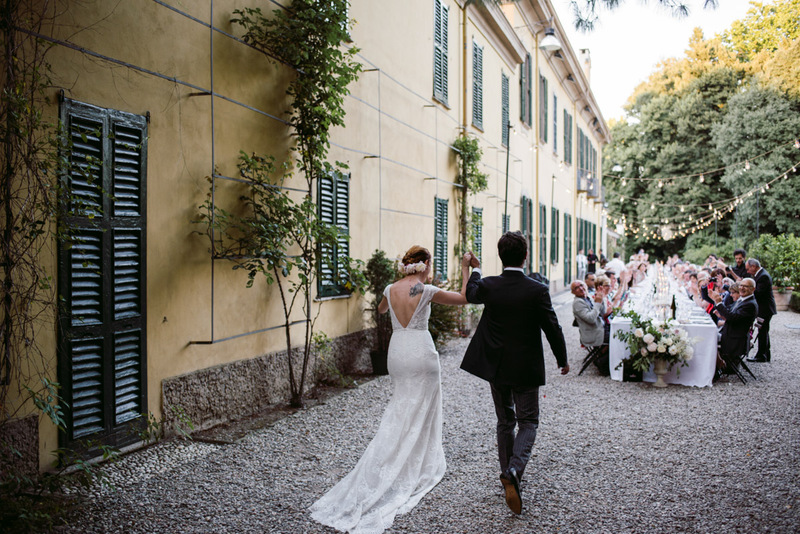 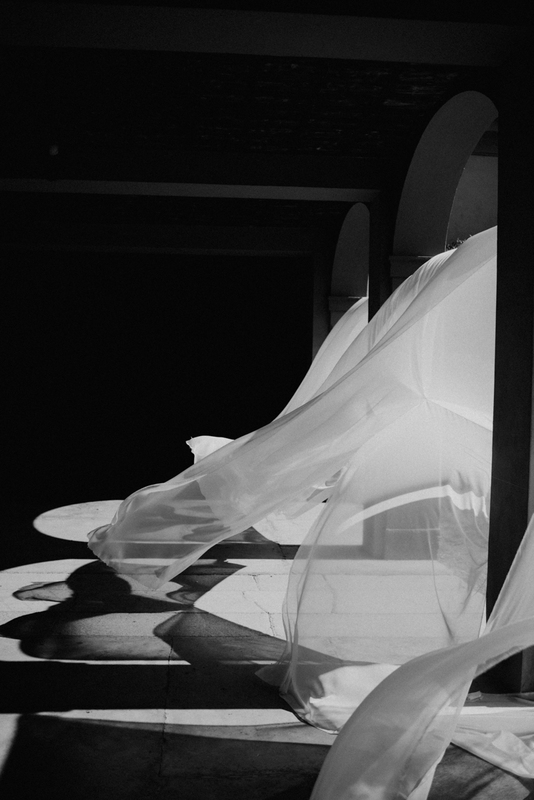 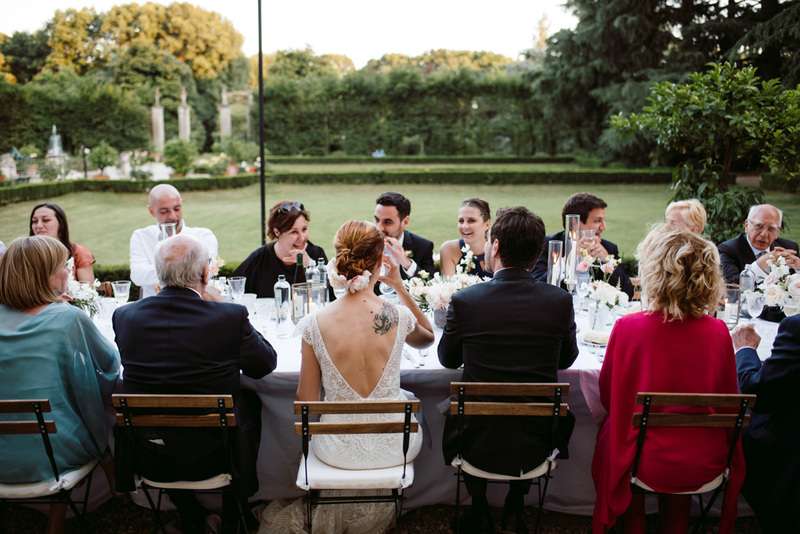 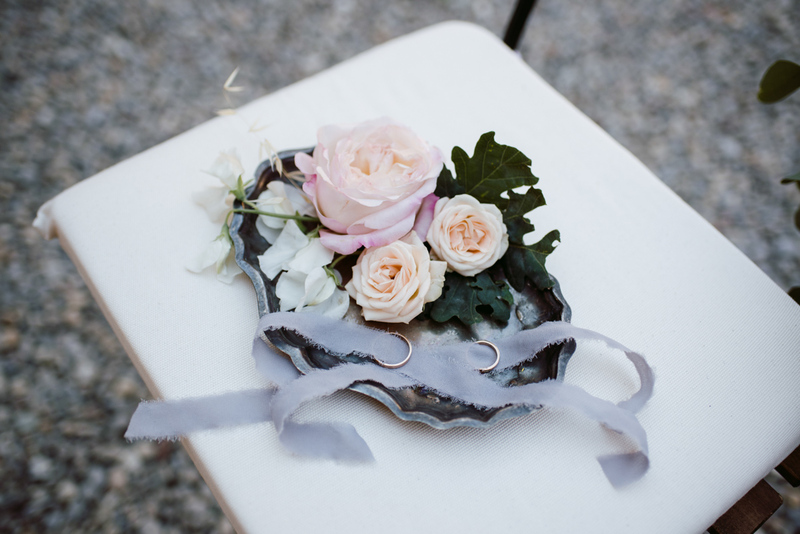 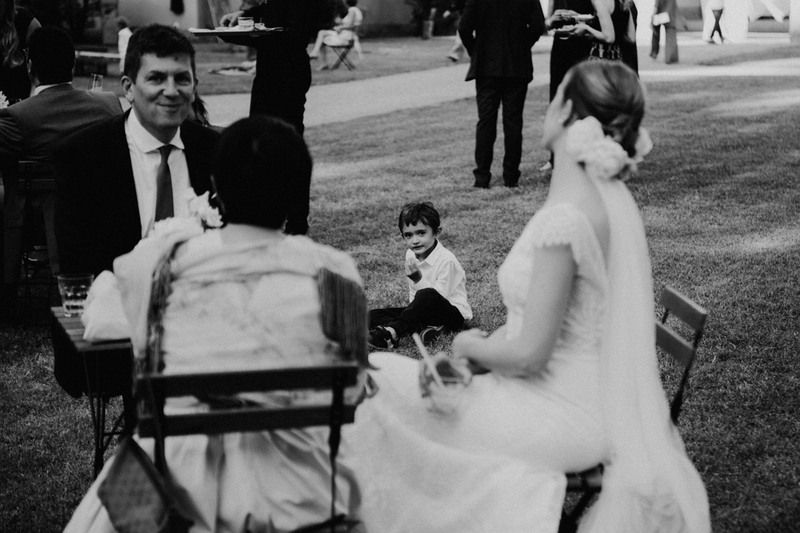 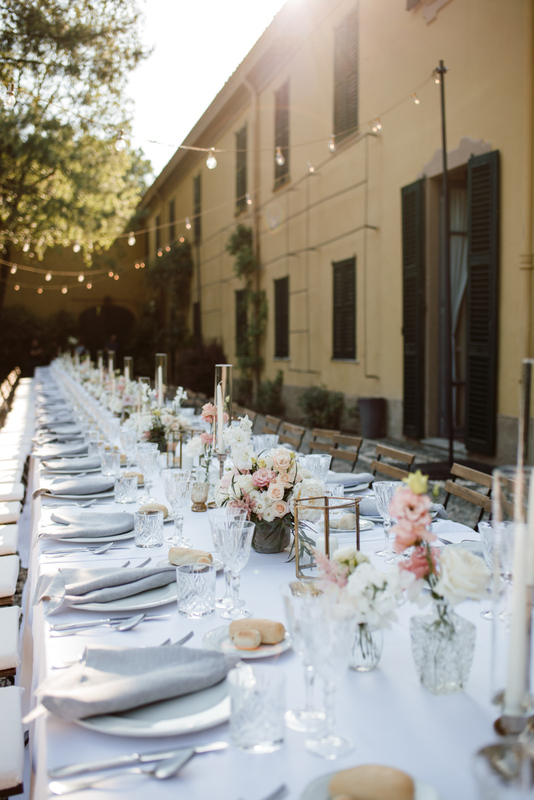 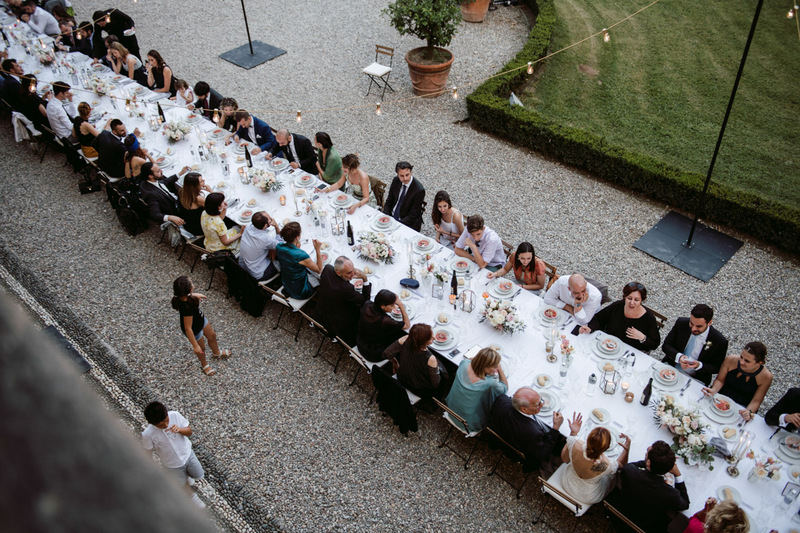 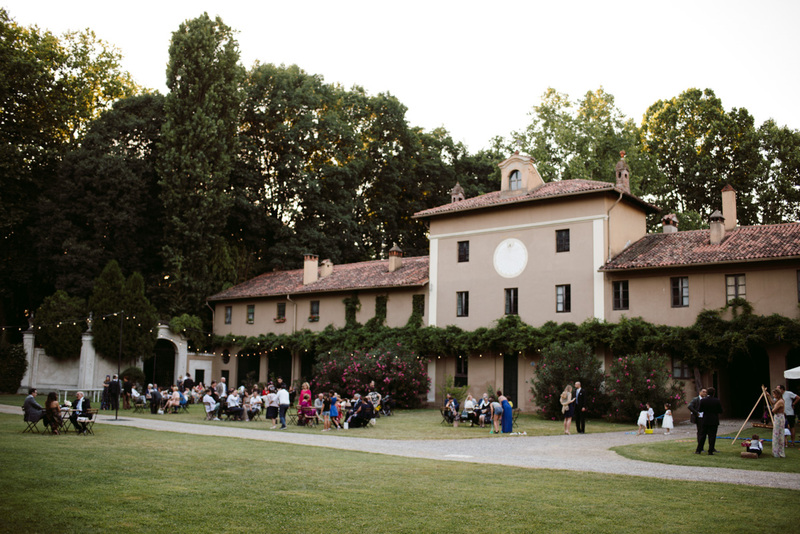 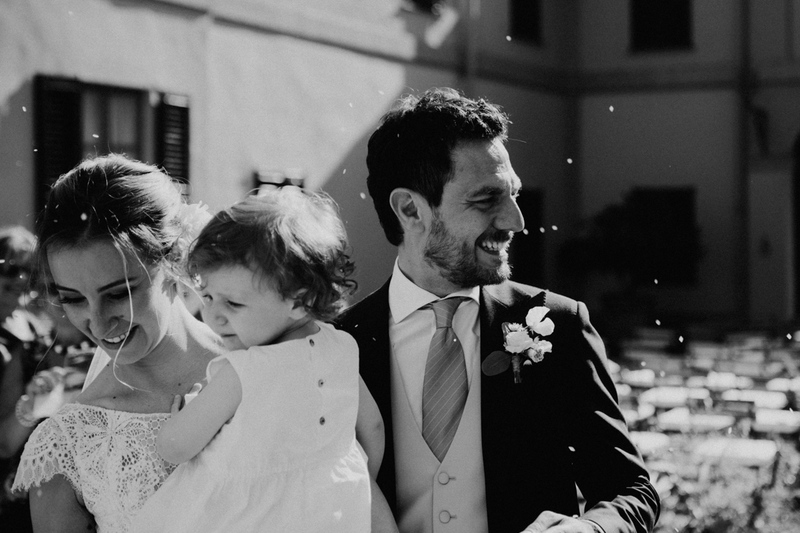 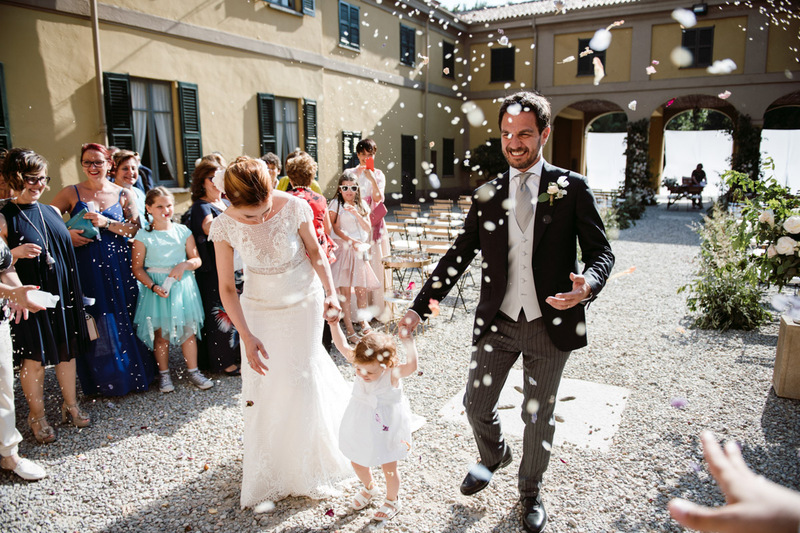 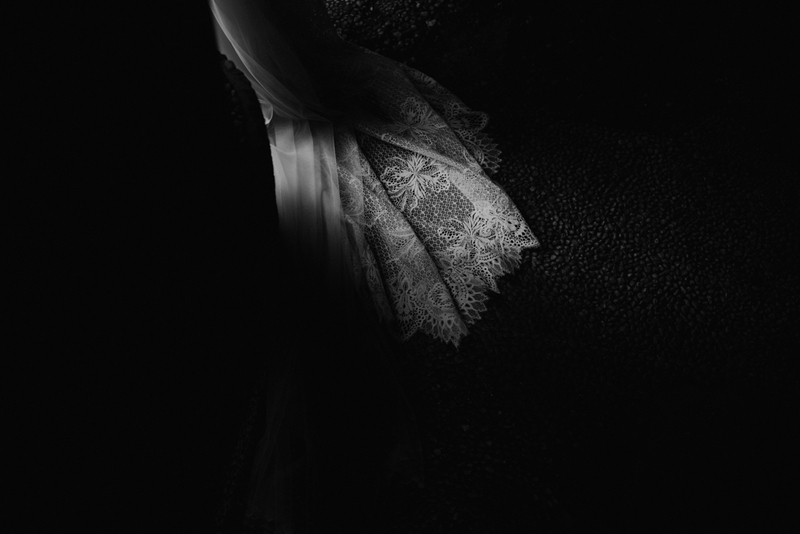 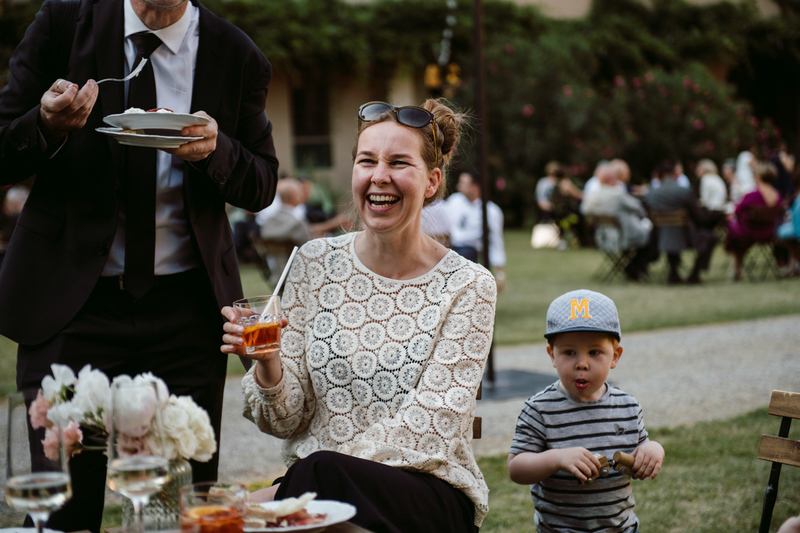 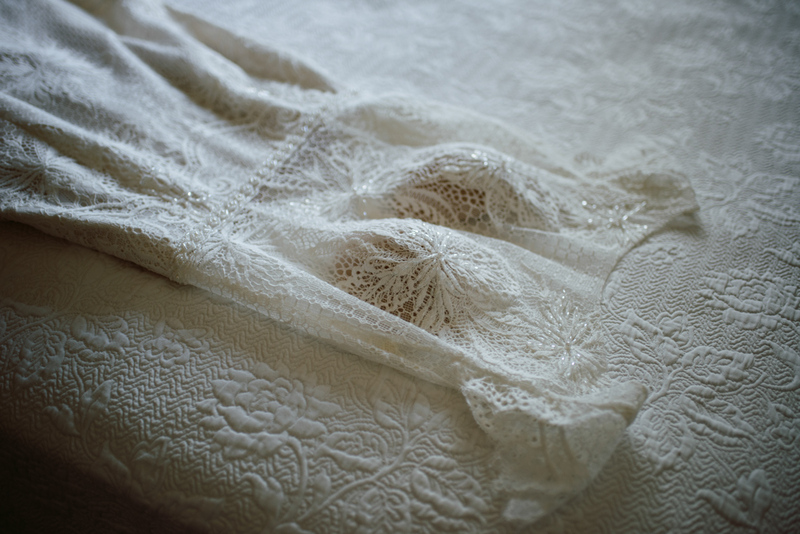 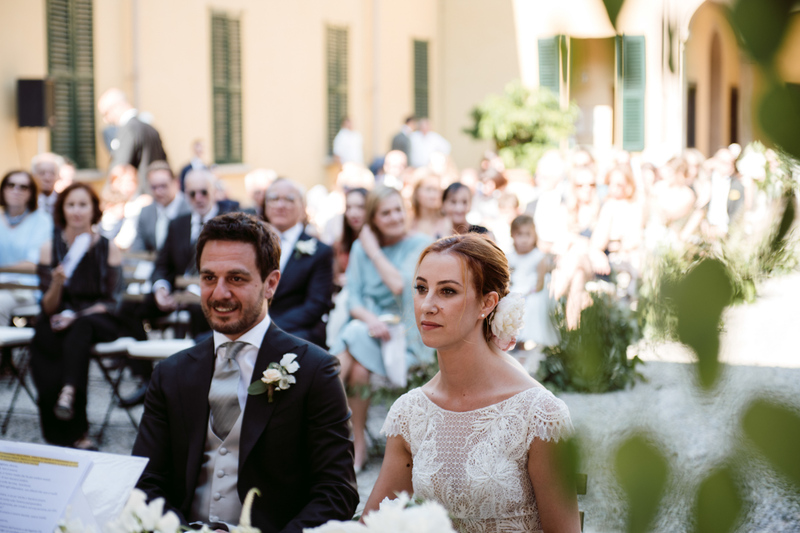 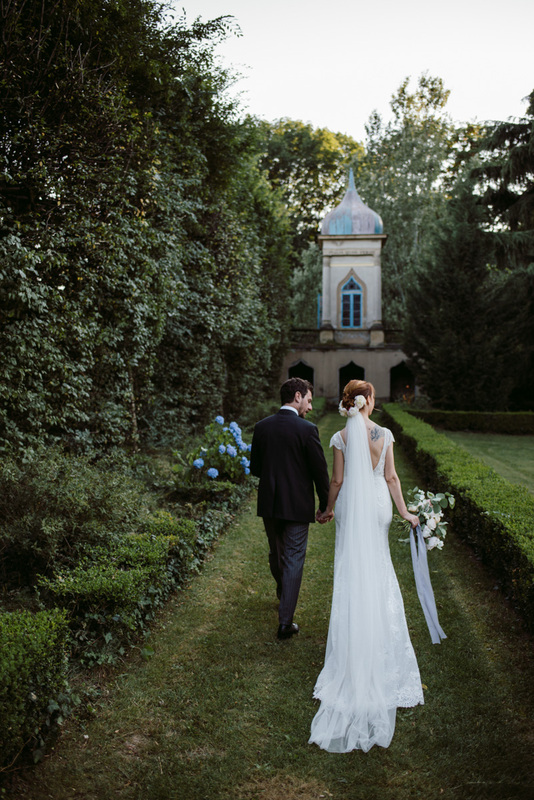 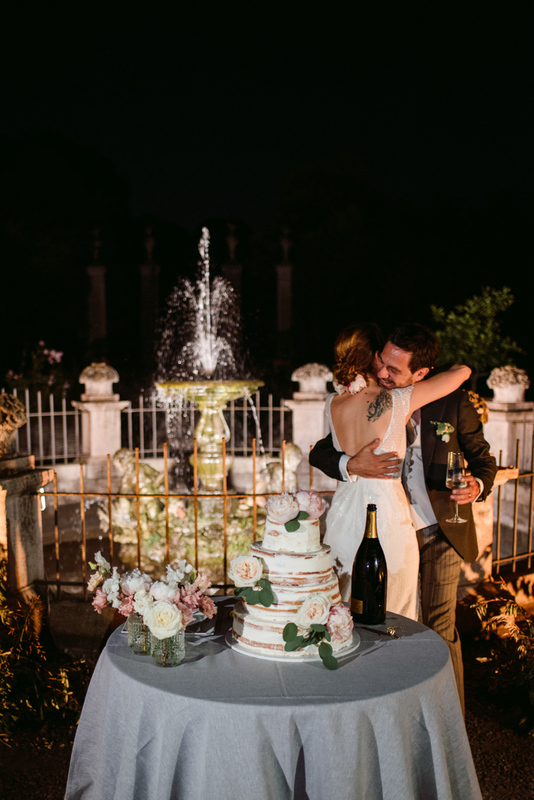 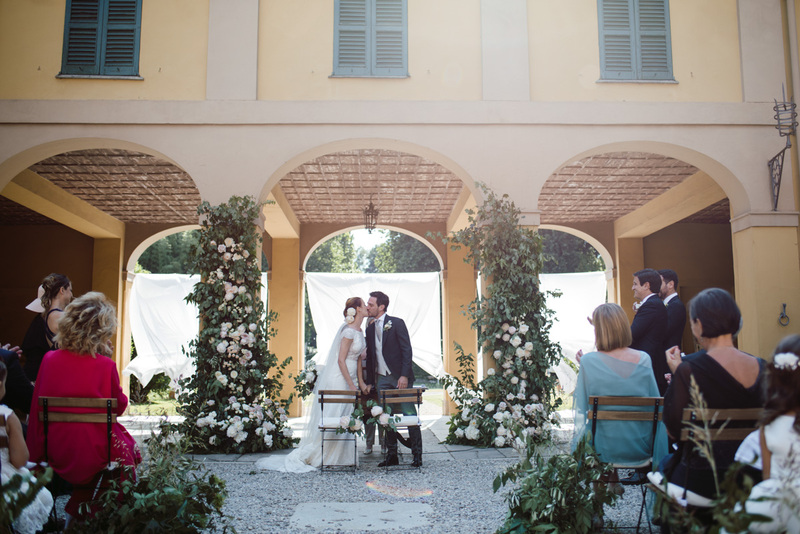 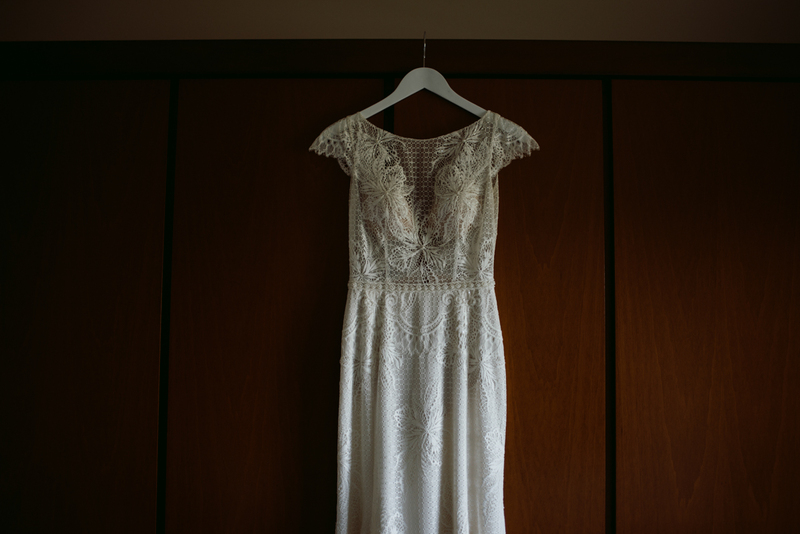 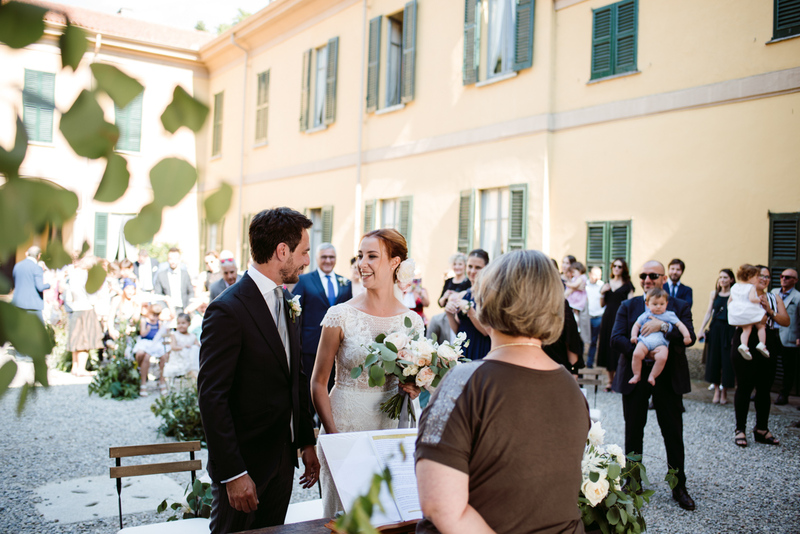 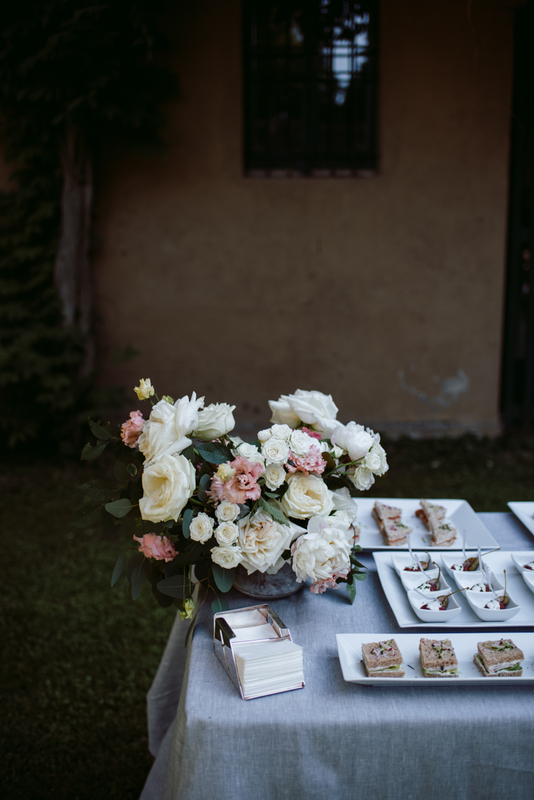 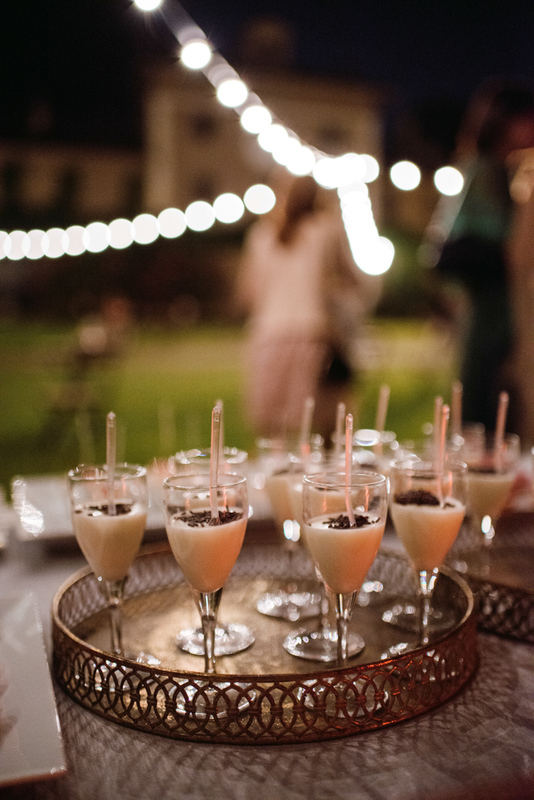 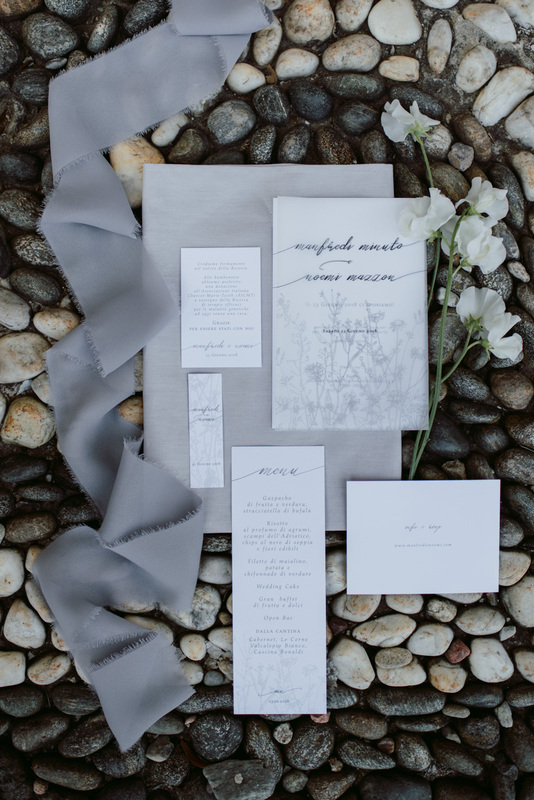 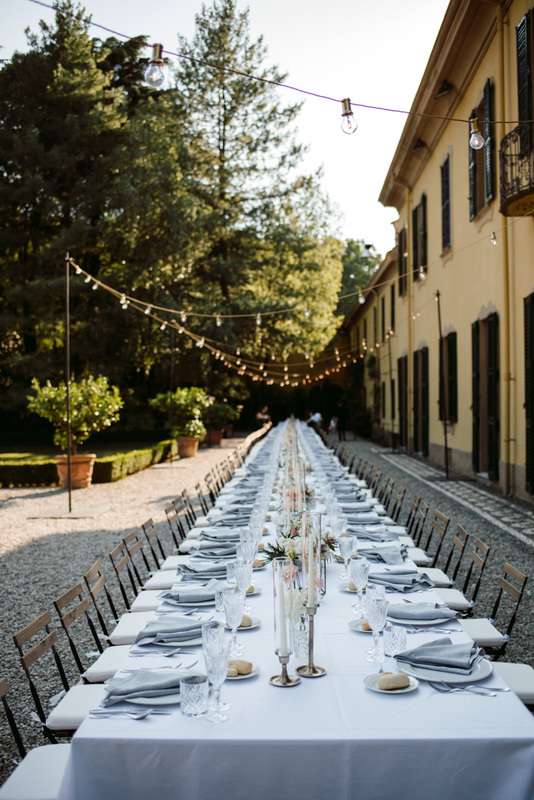 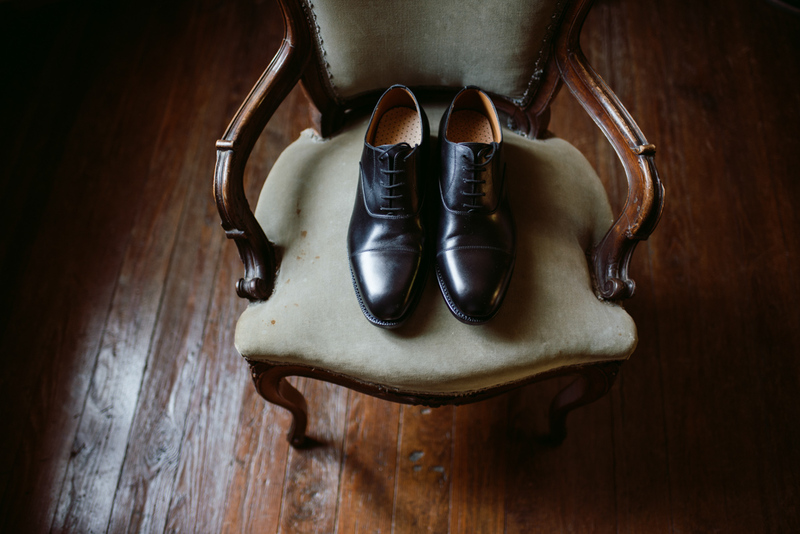 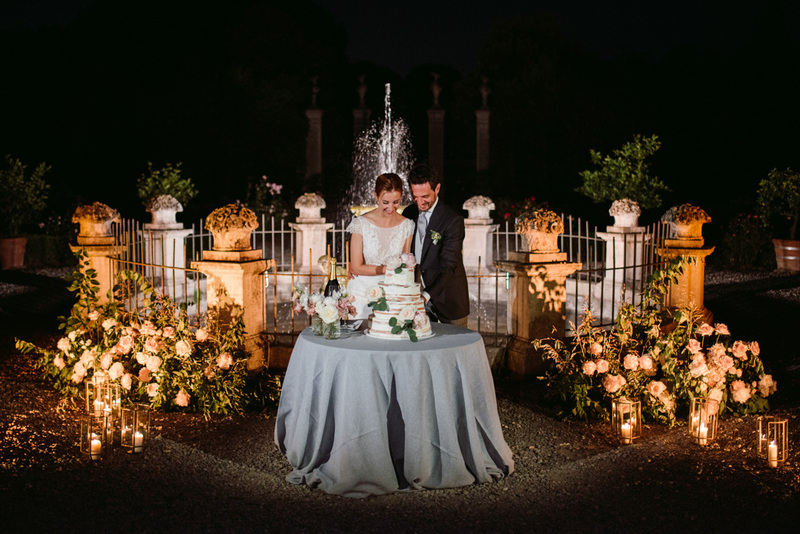 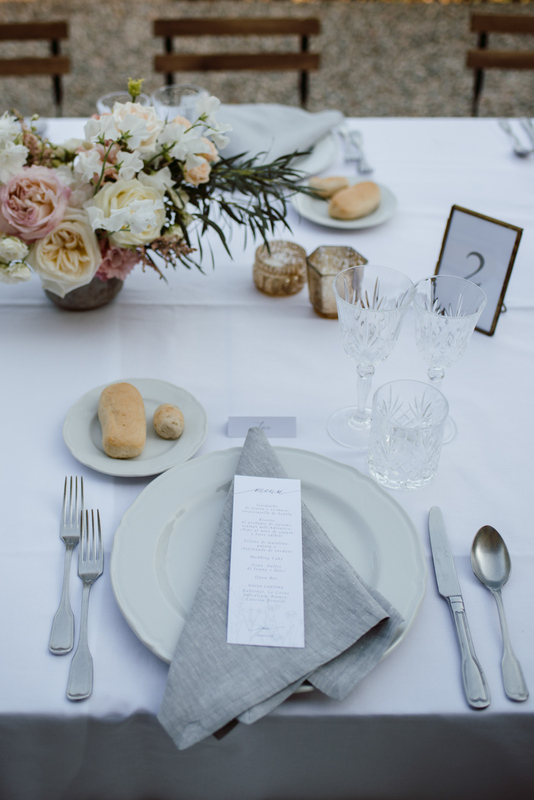 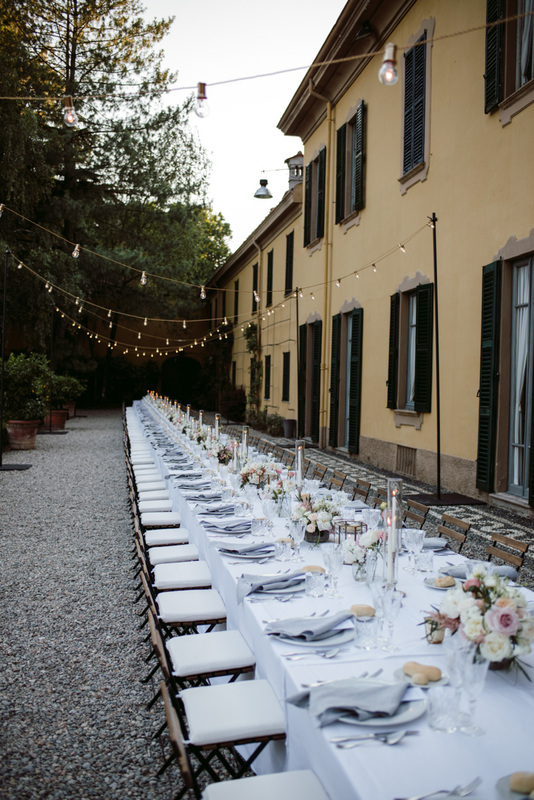 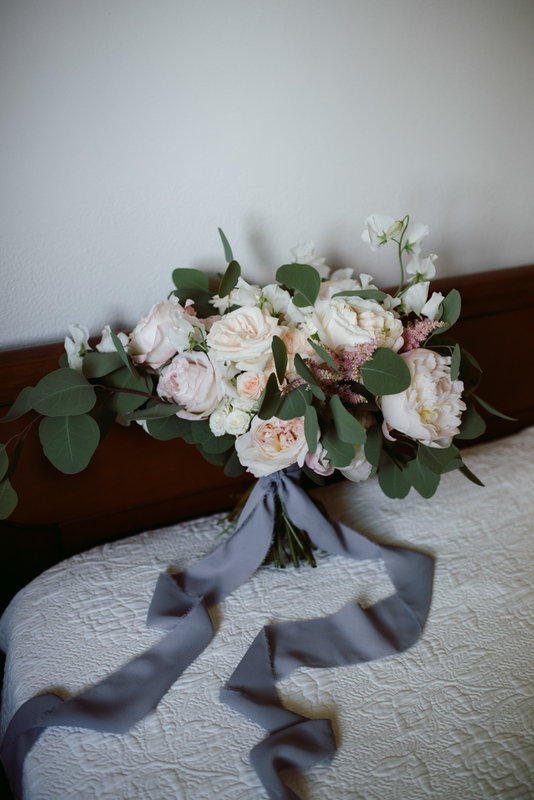 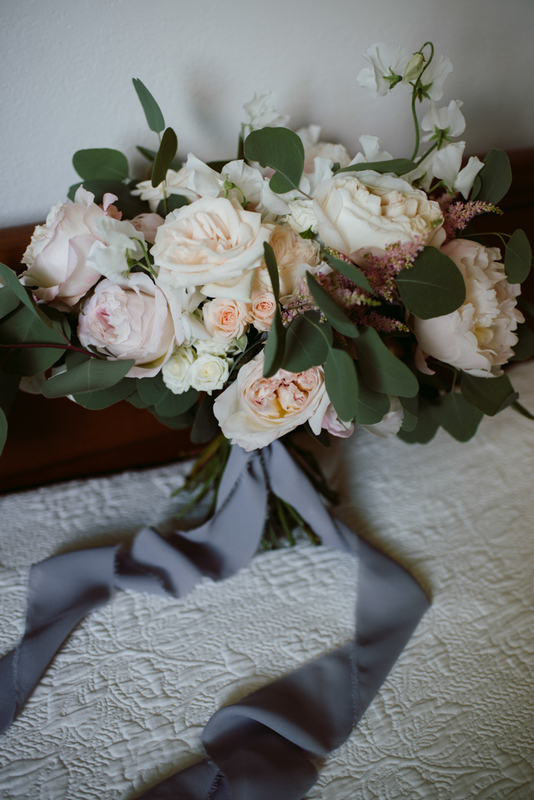 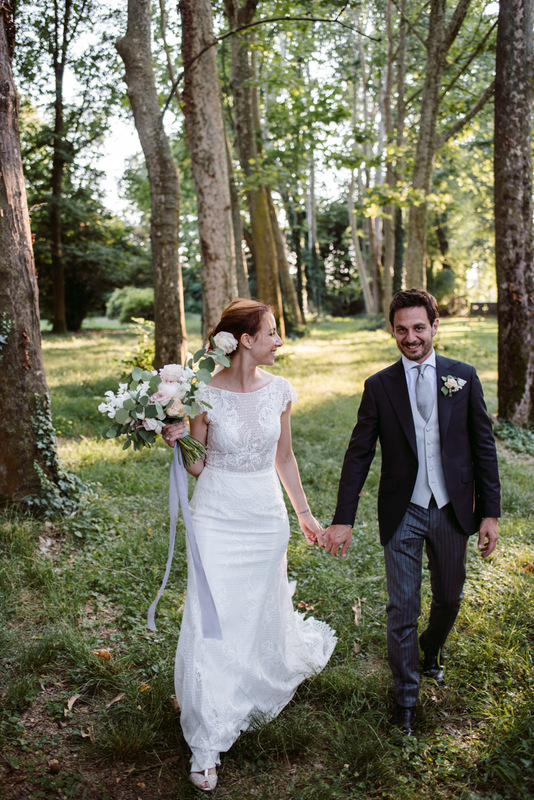 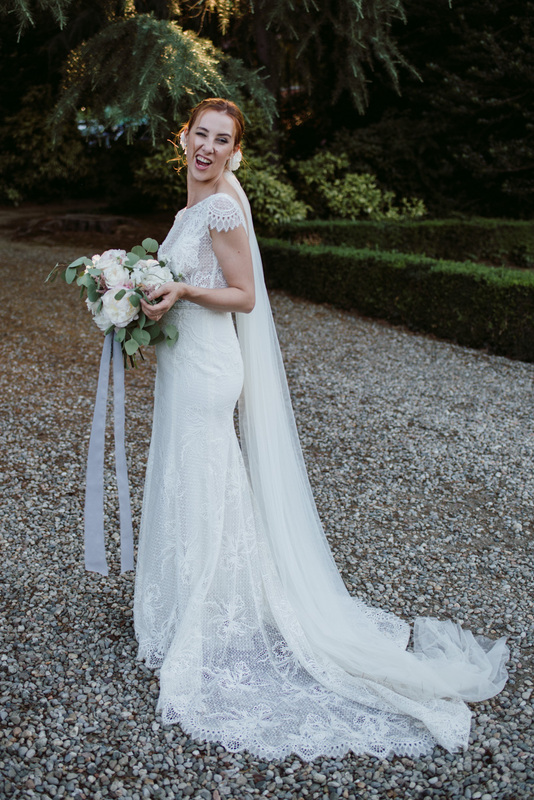 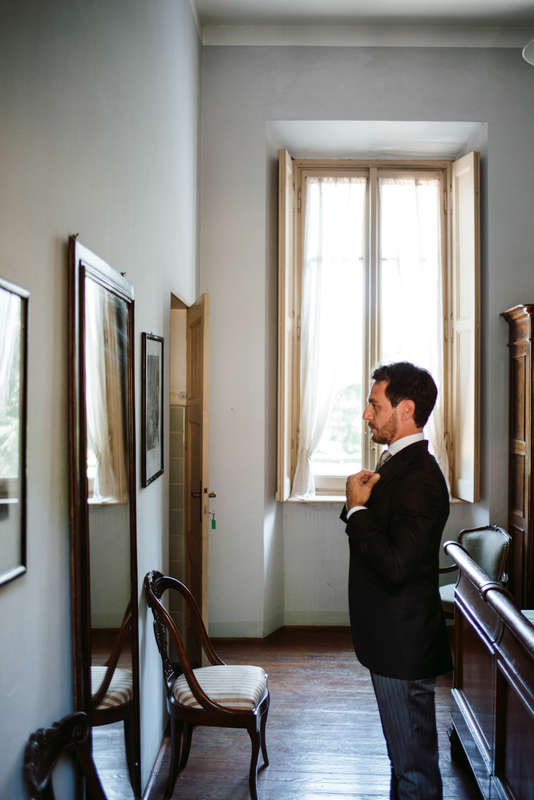 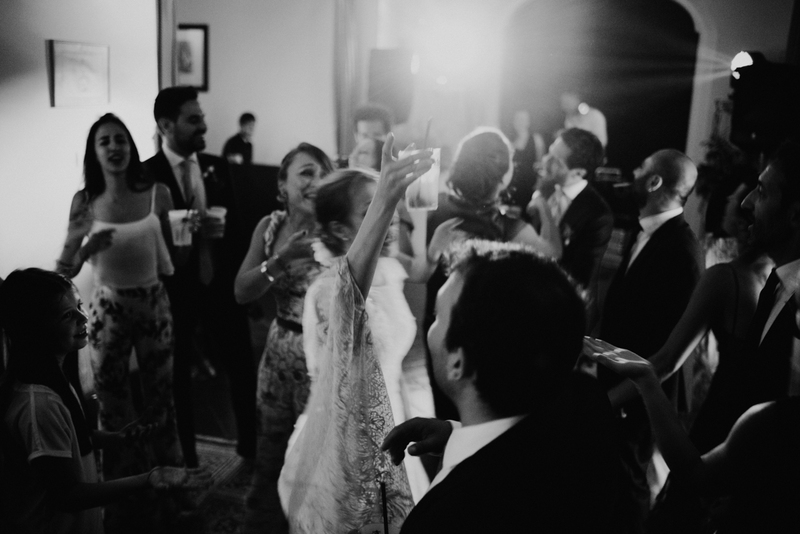 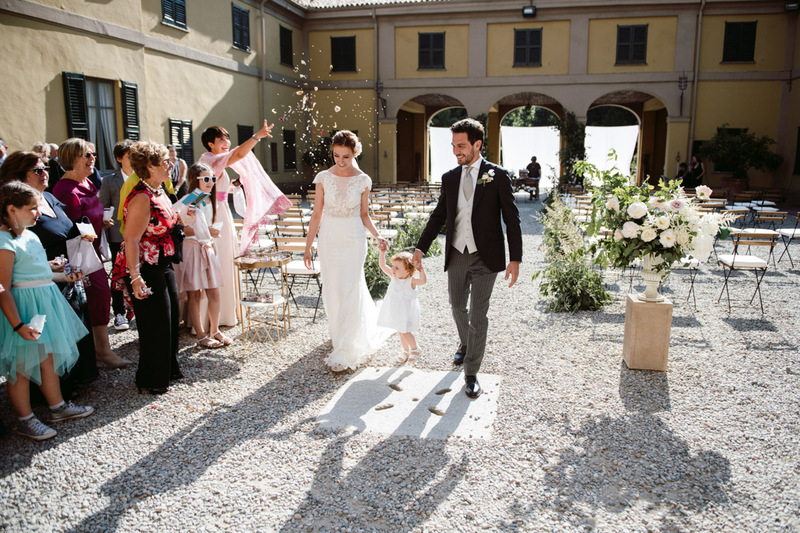 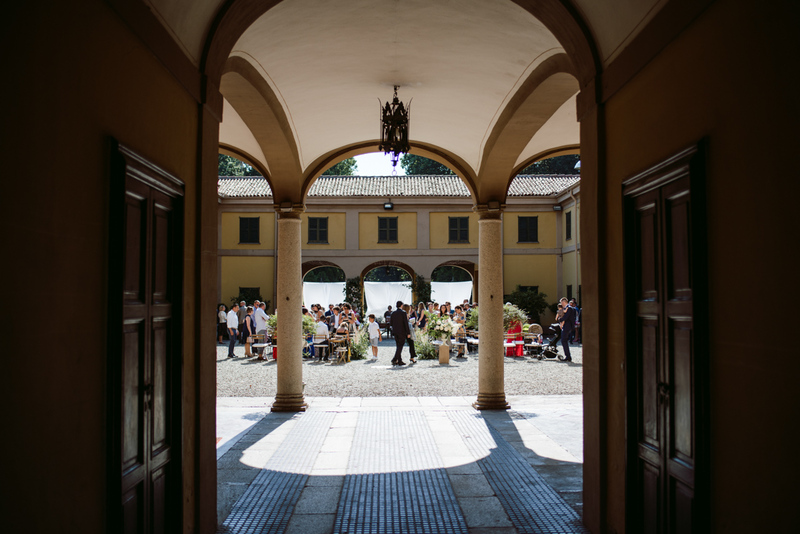 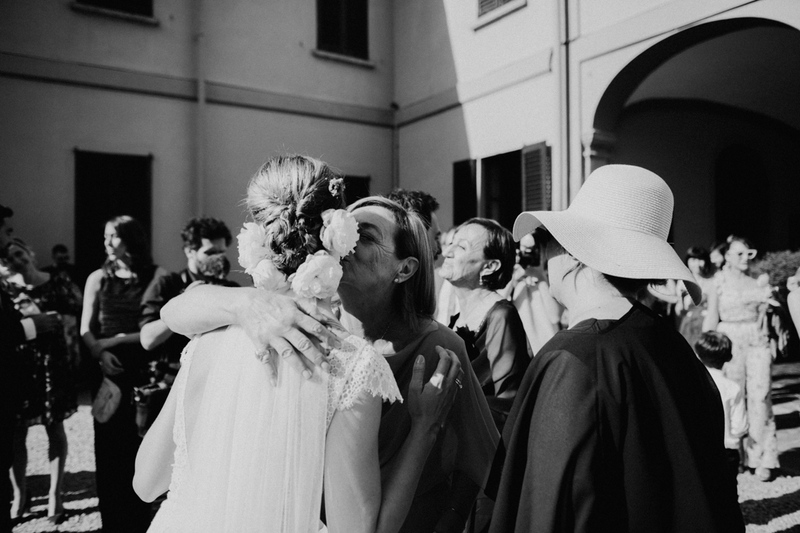 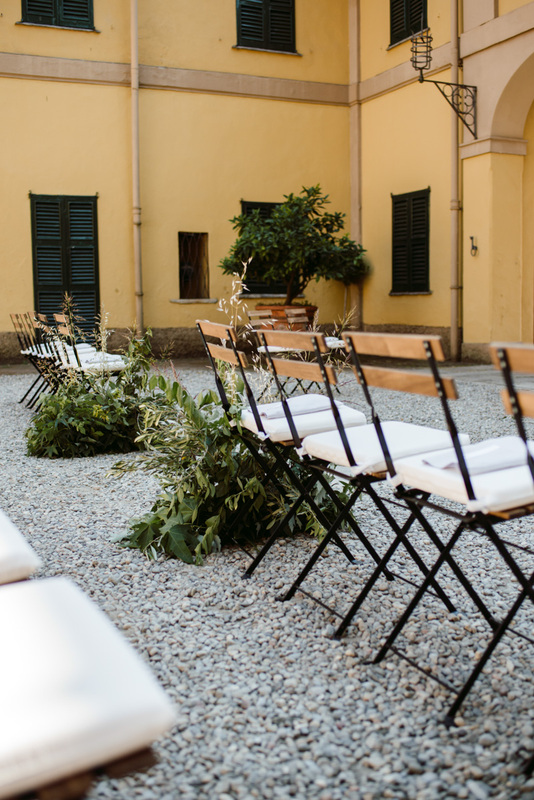 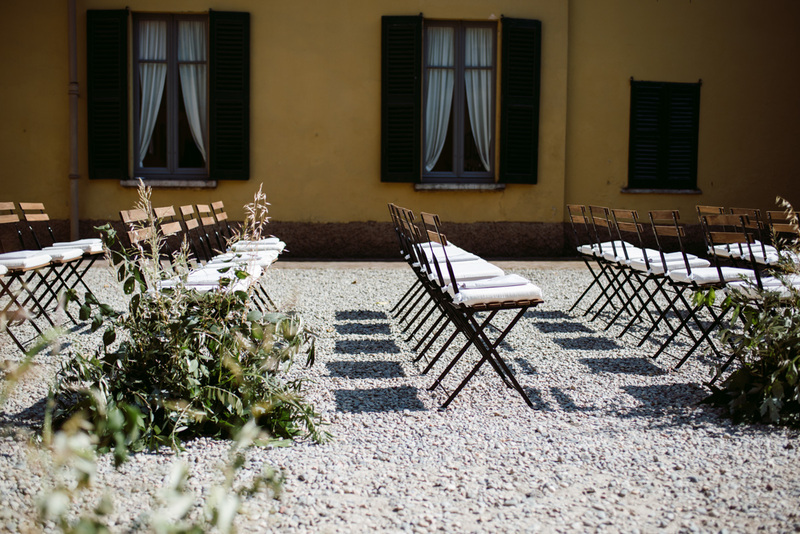 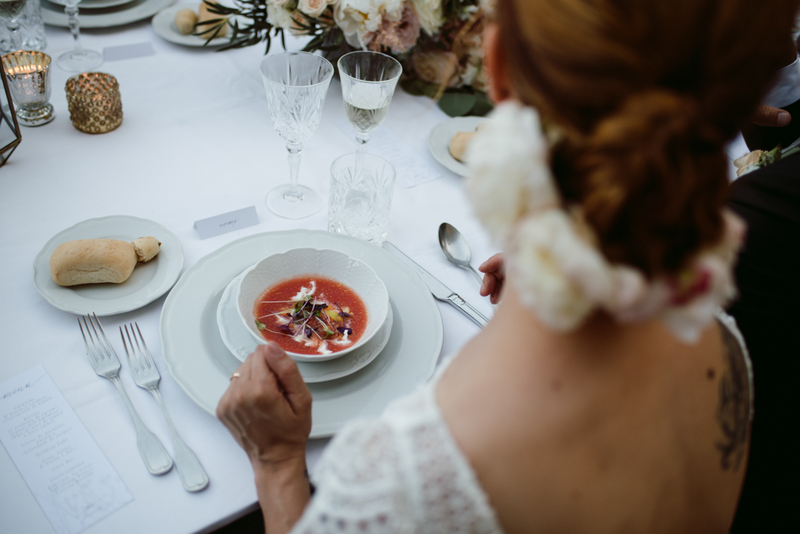 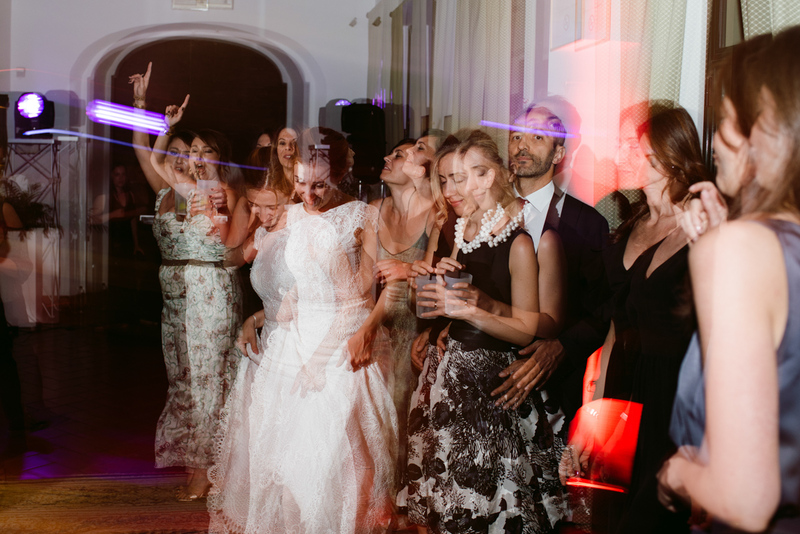 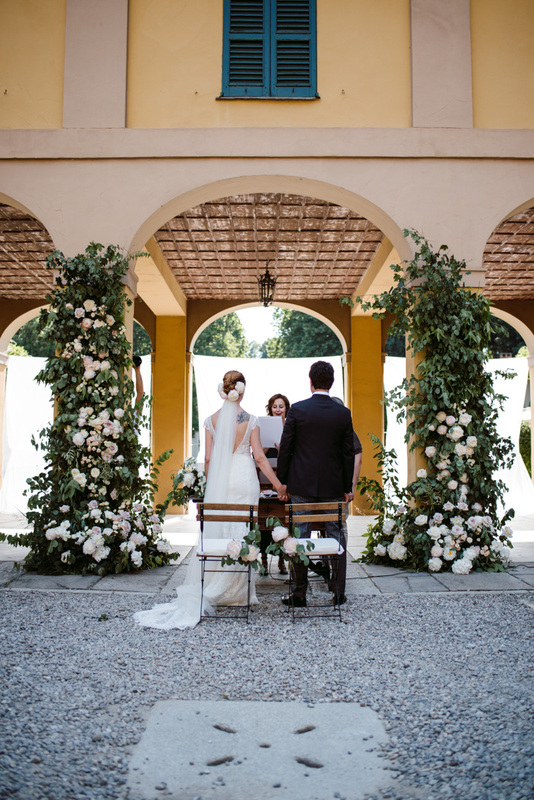 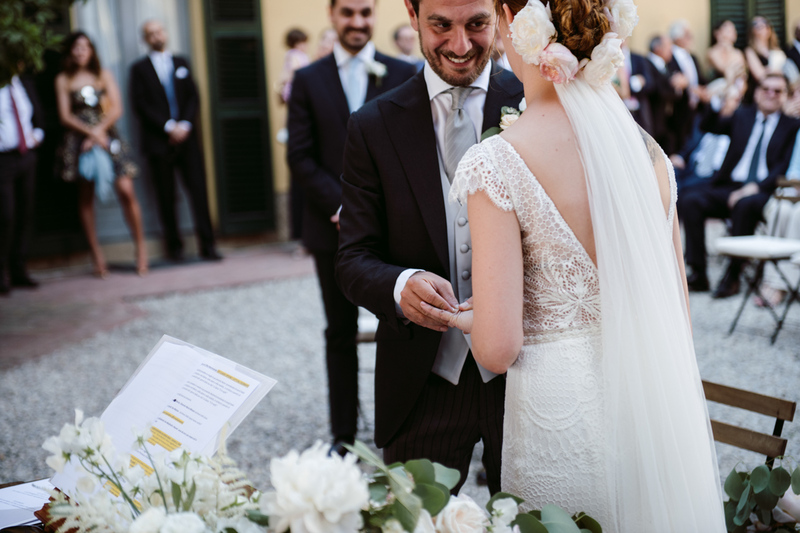 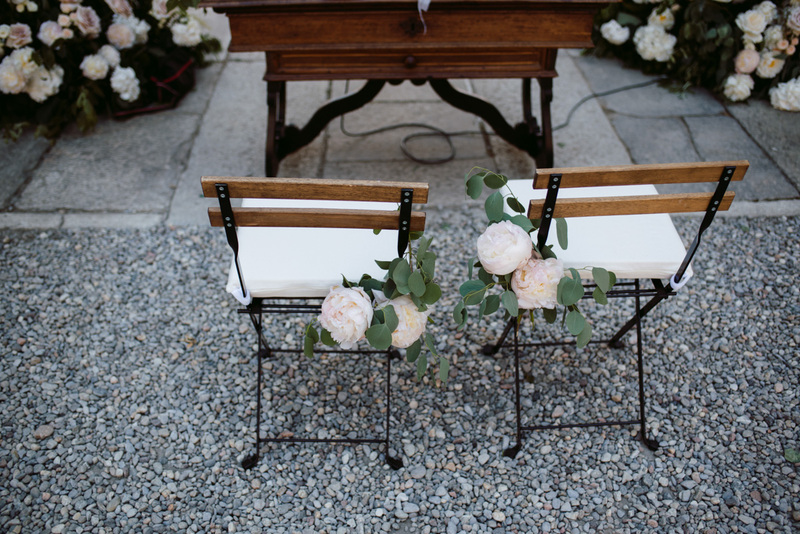 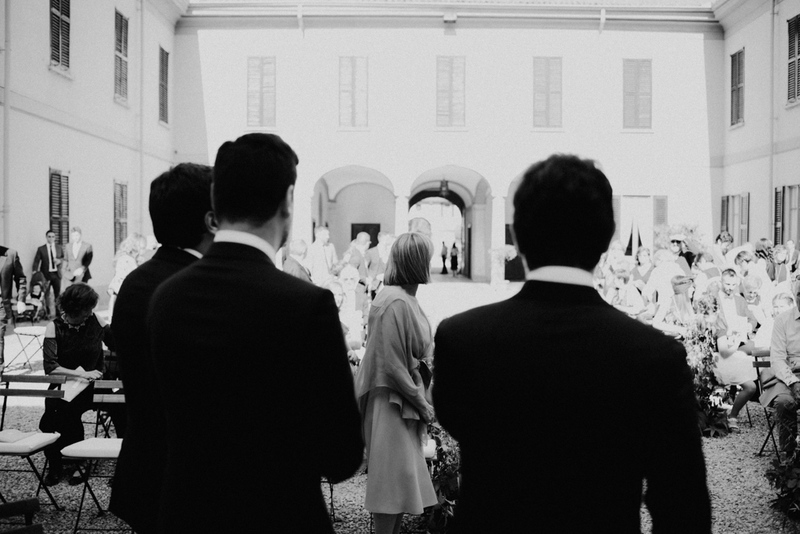 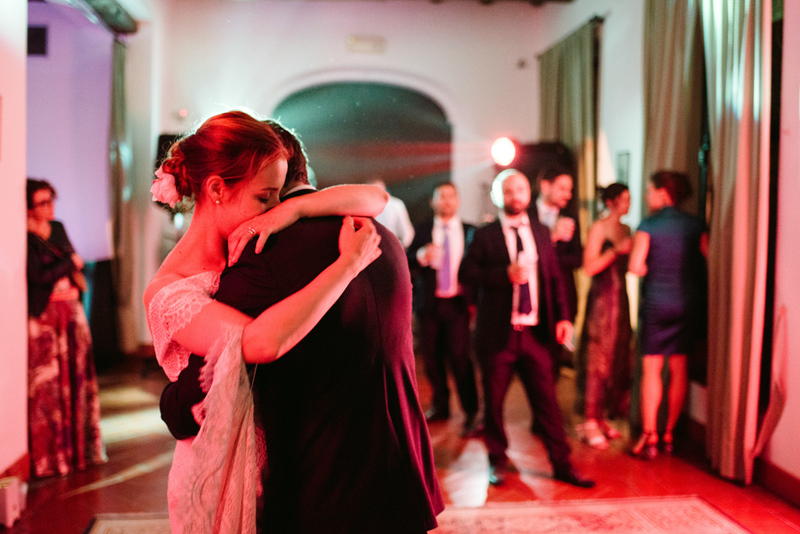 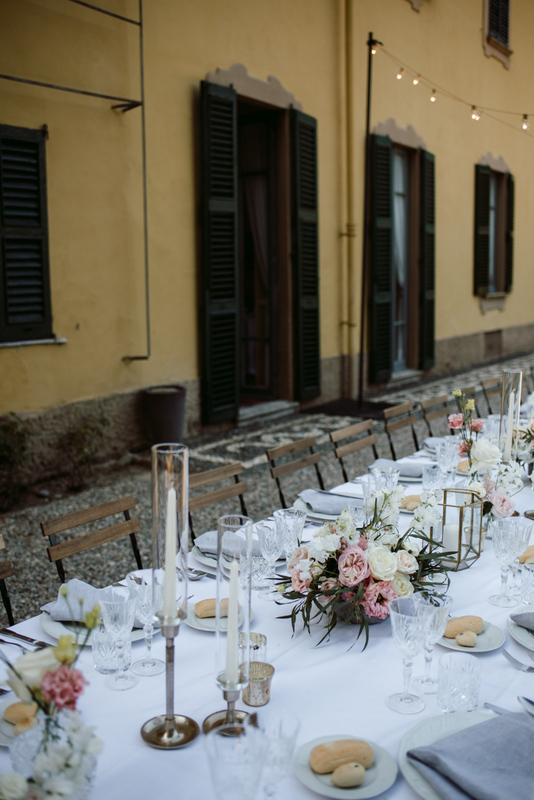 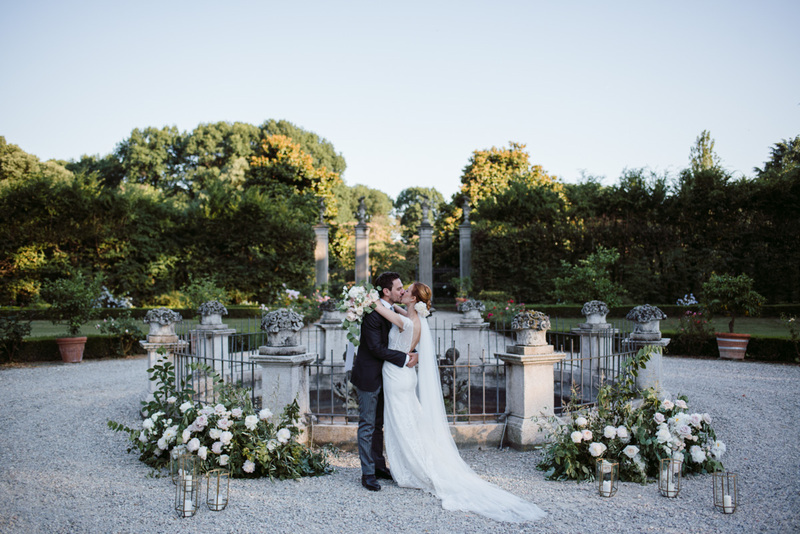 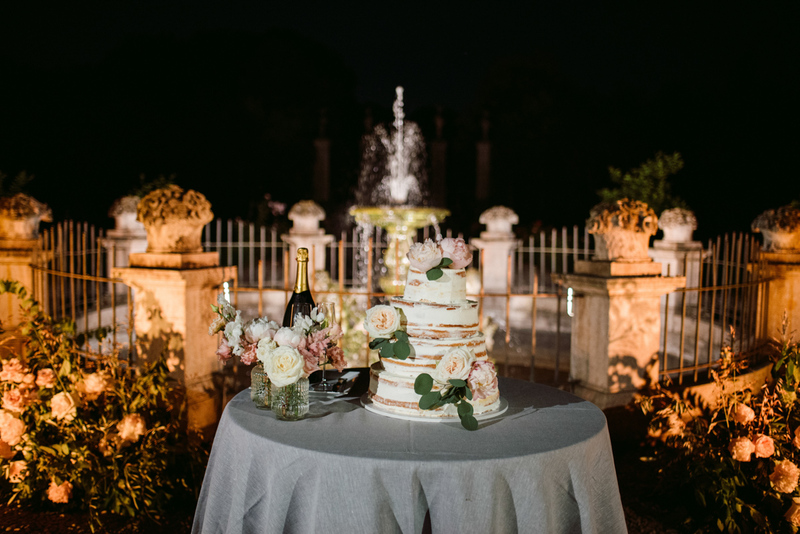 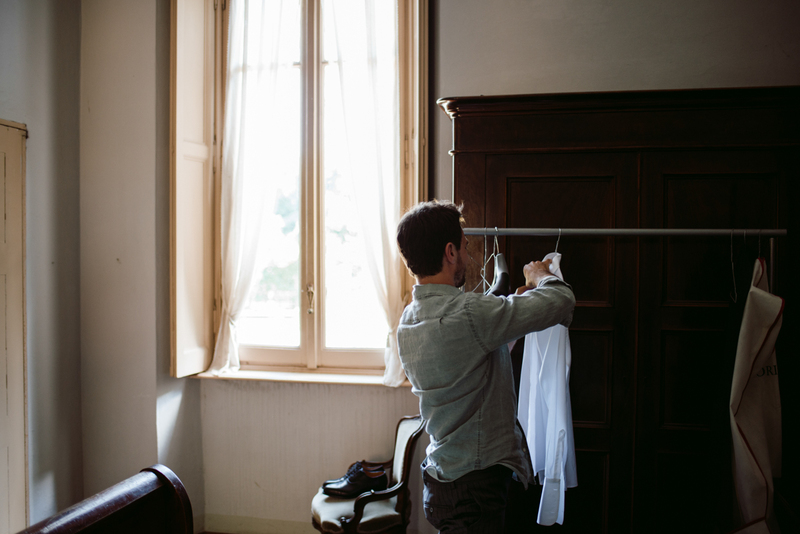 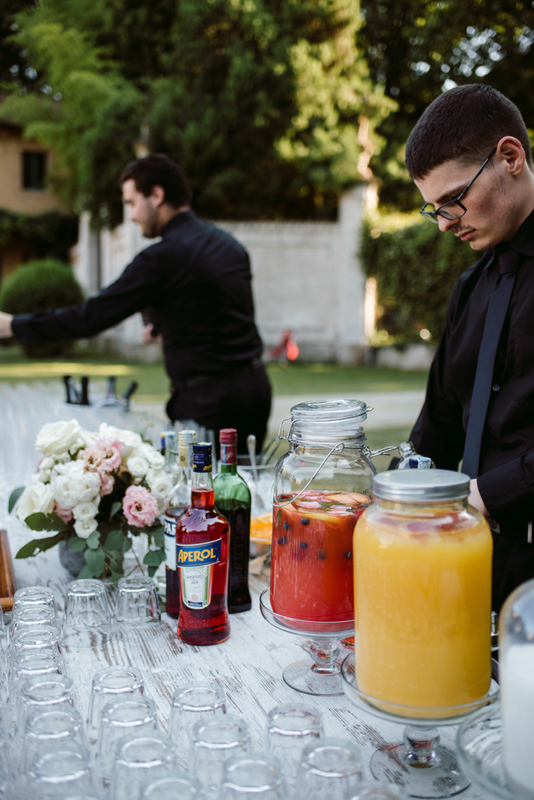 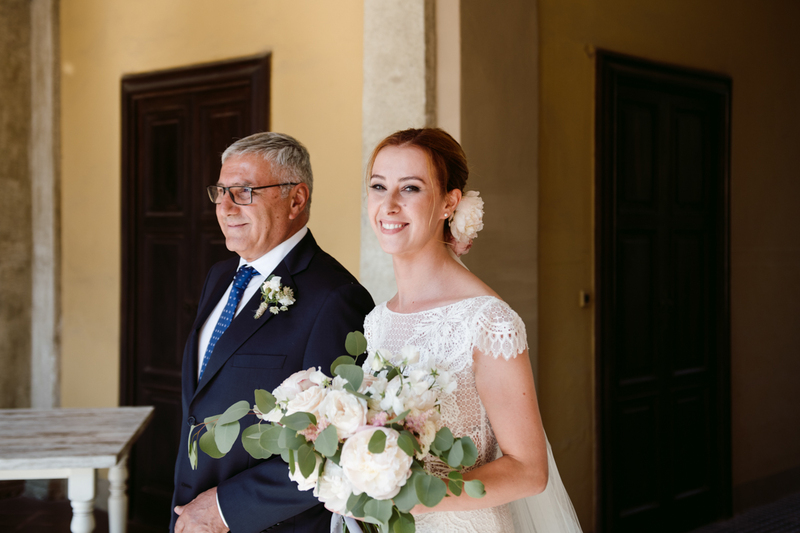 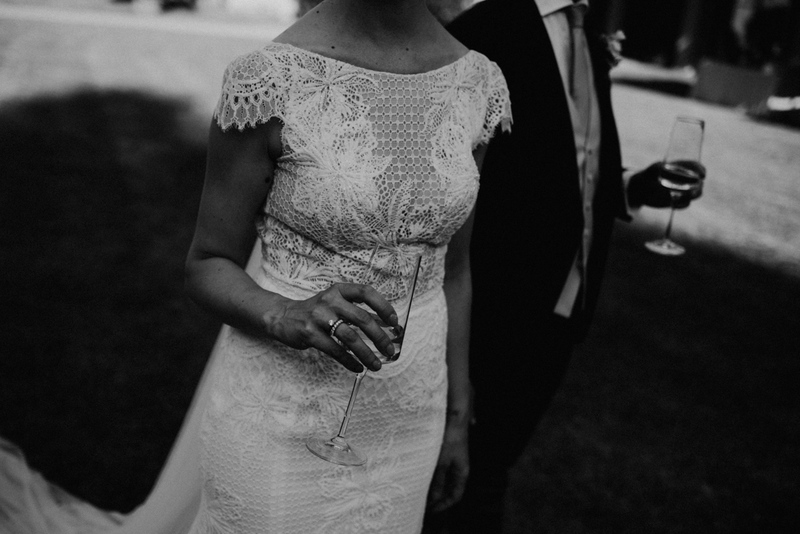 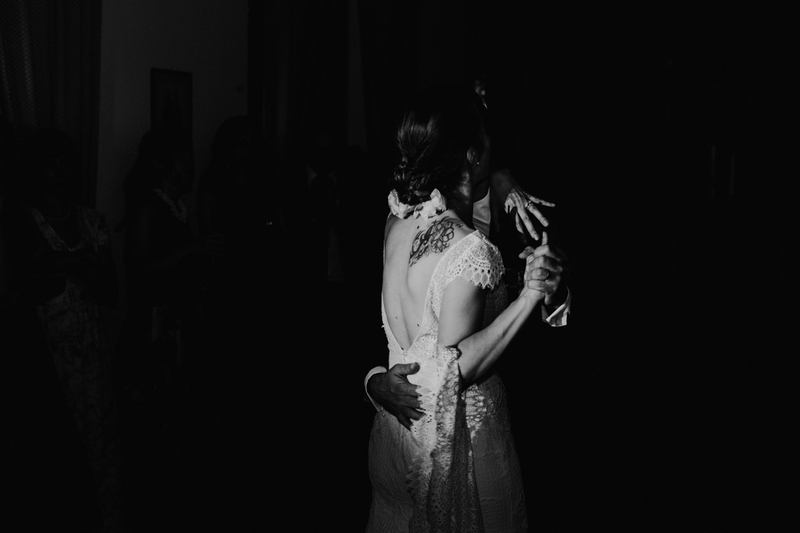 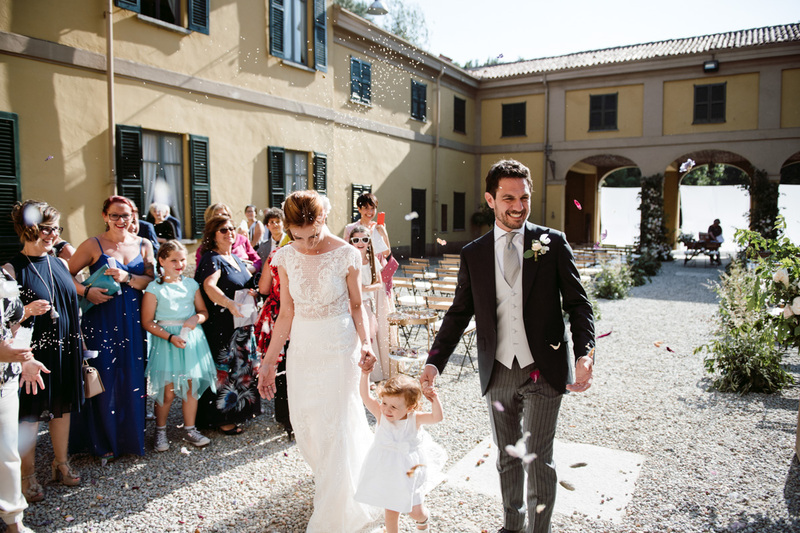 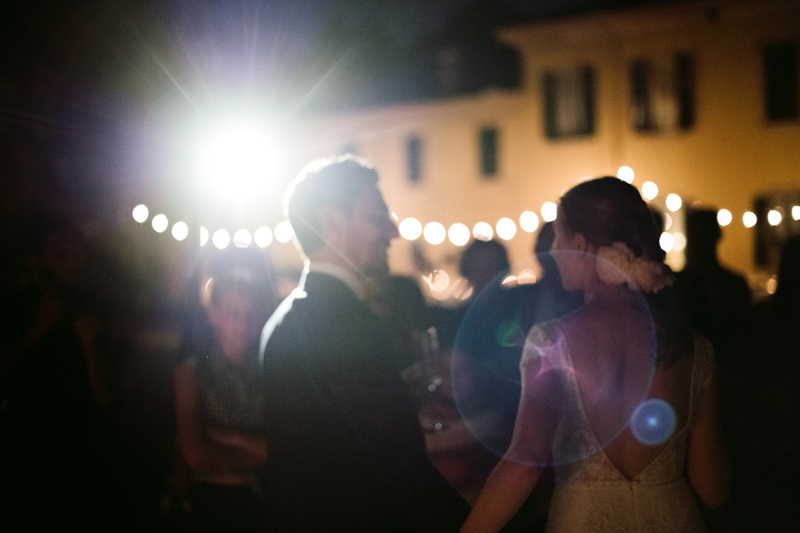 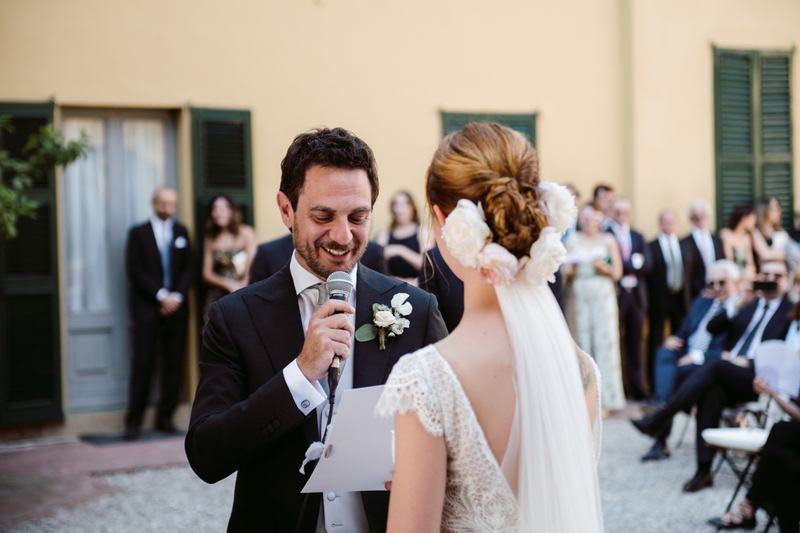 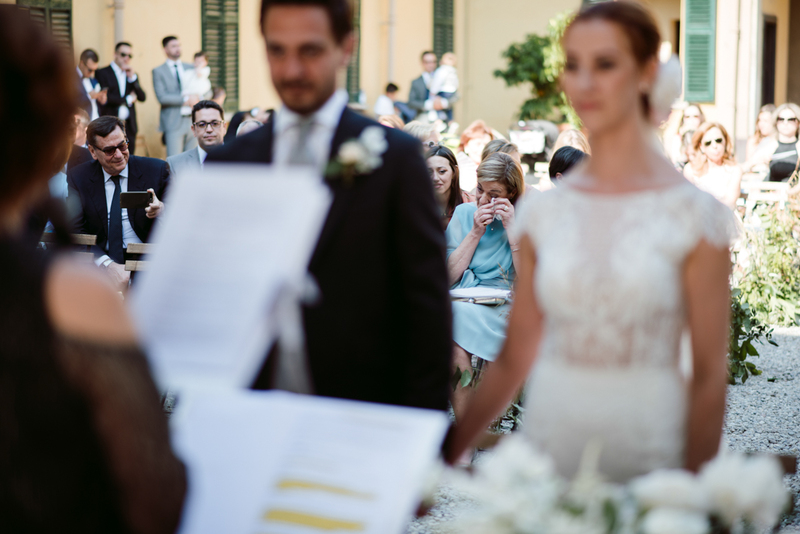 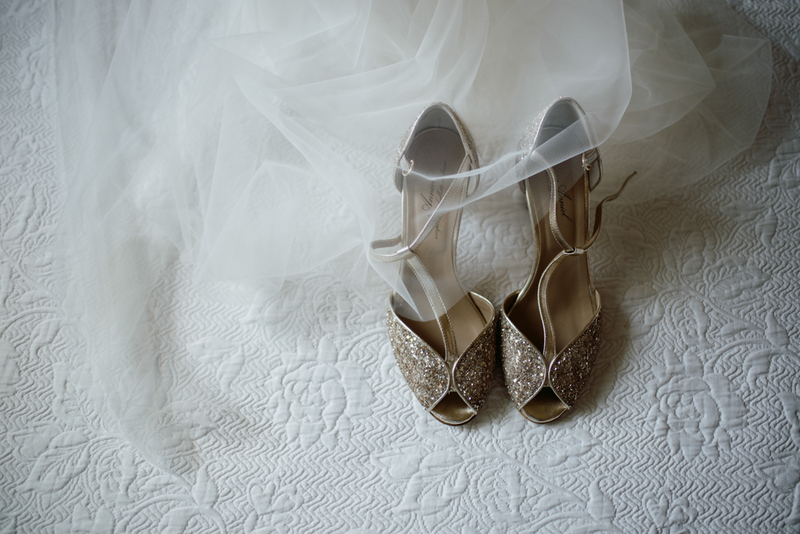 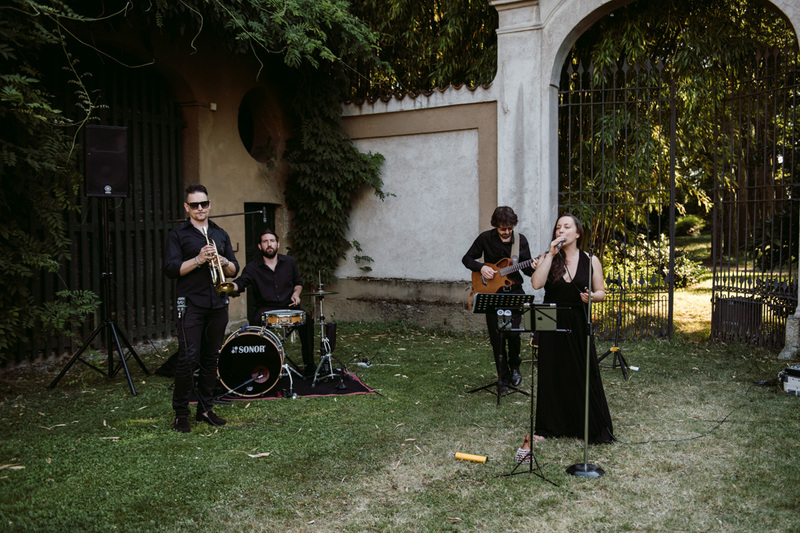 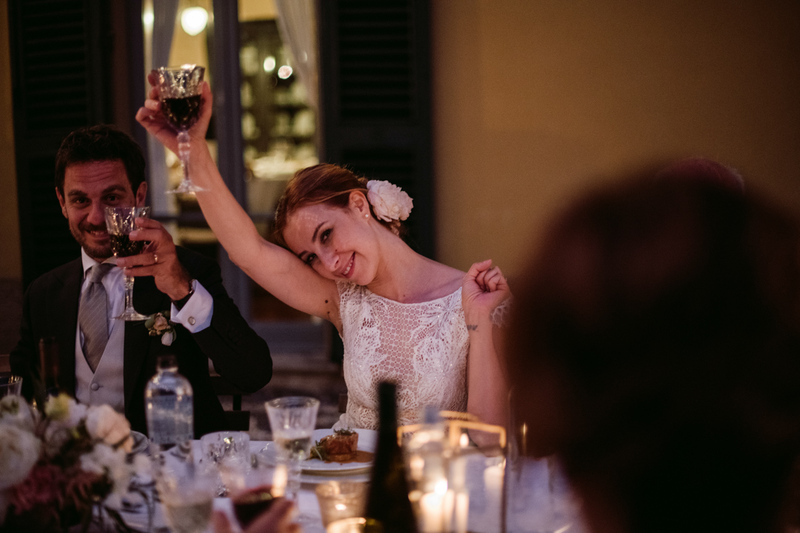 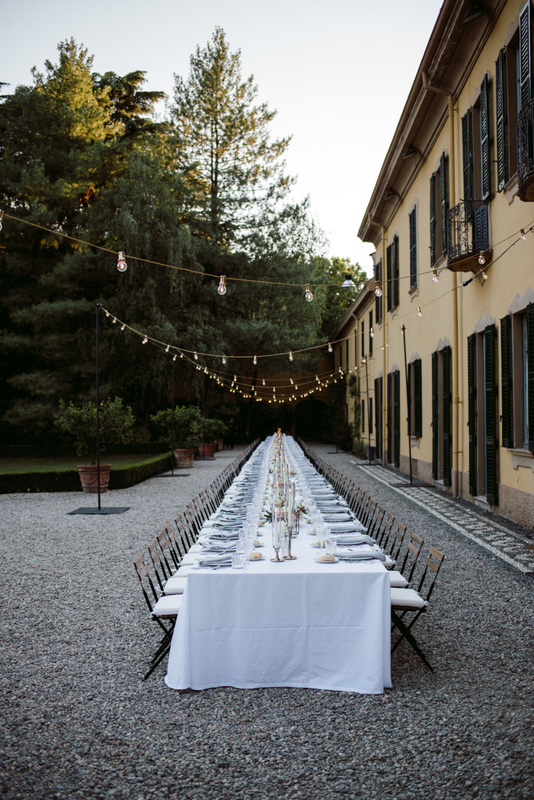 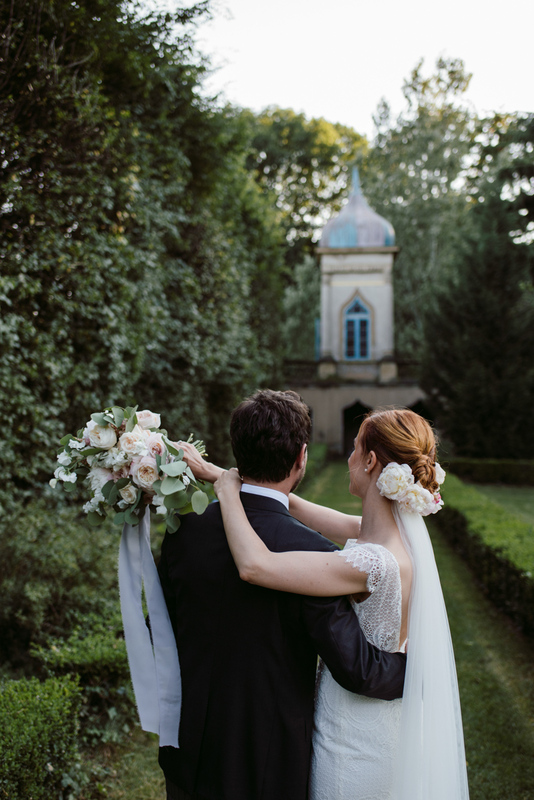 This refined wedding in Italian Villa was simply stunning. 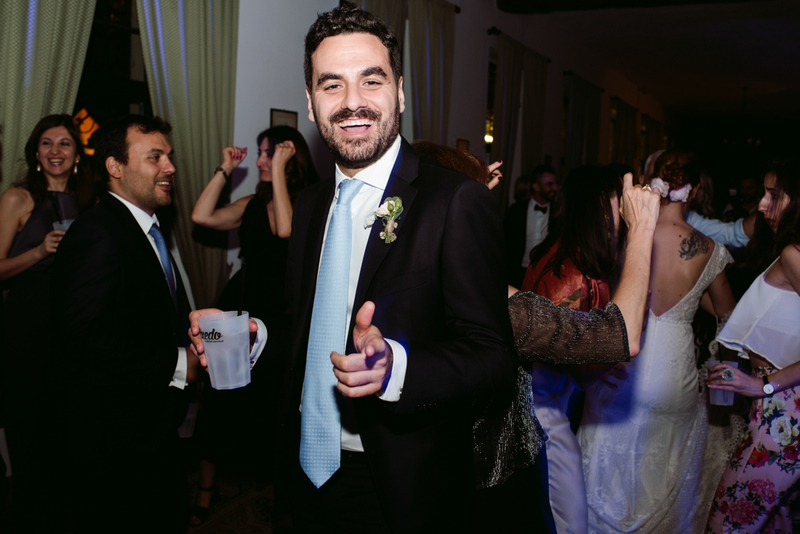 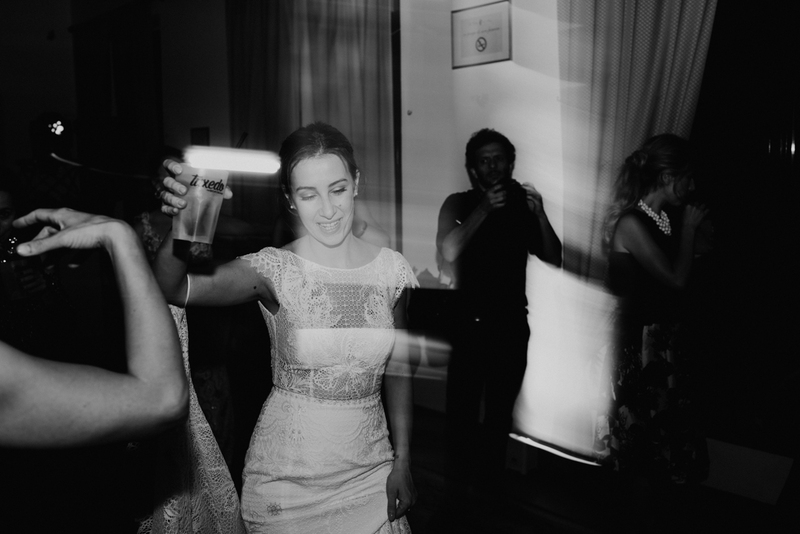 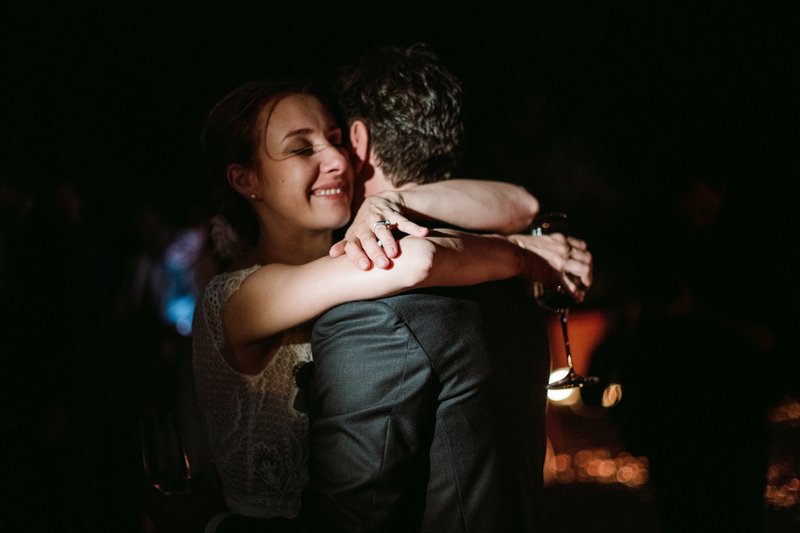 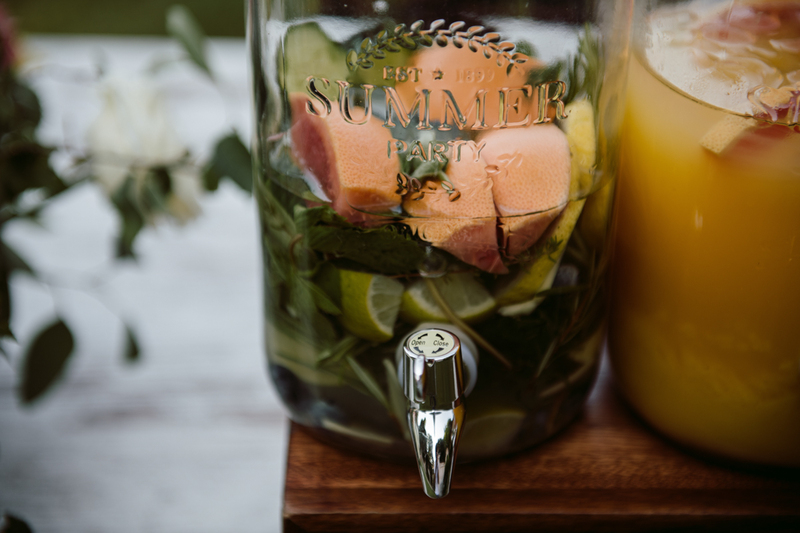 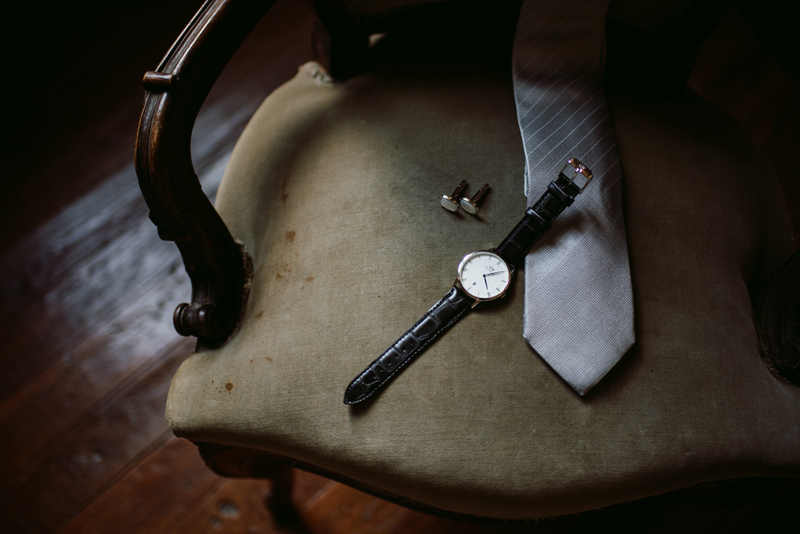 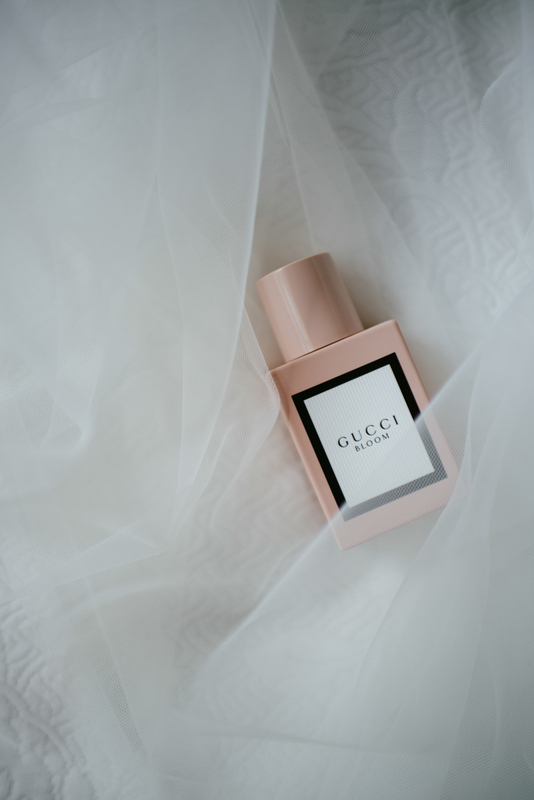 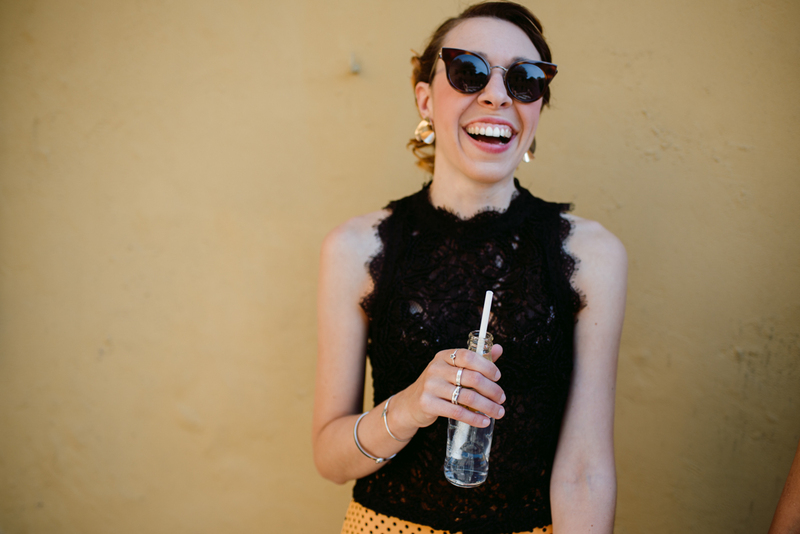 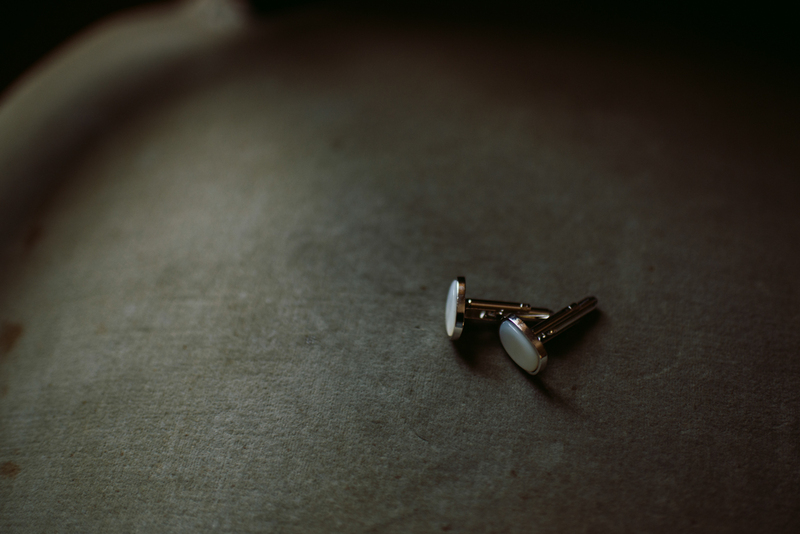 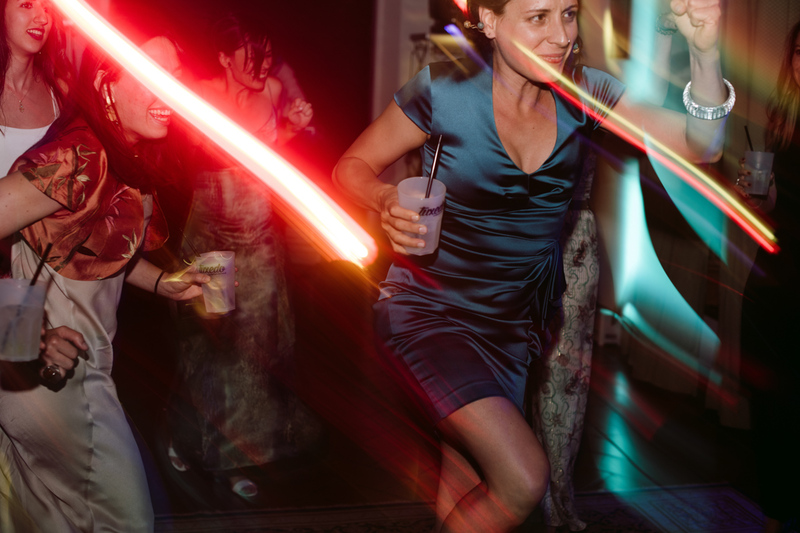 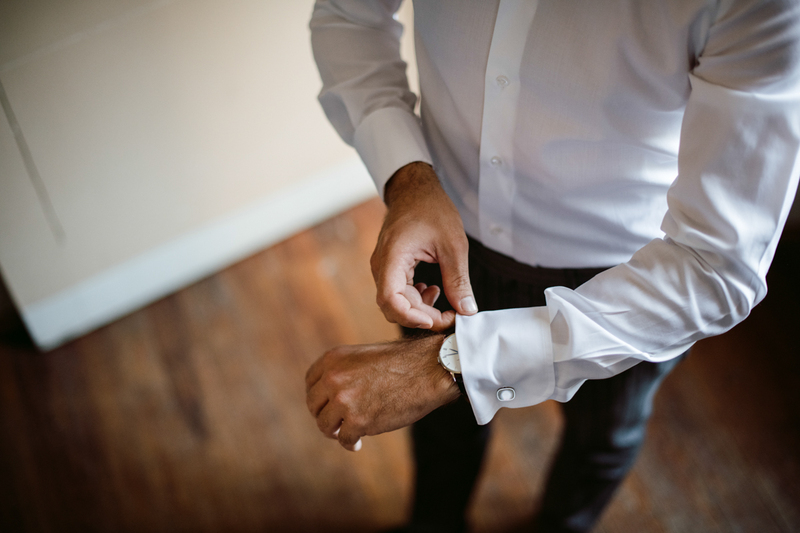 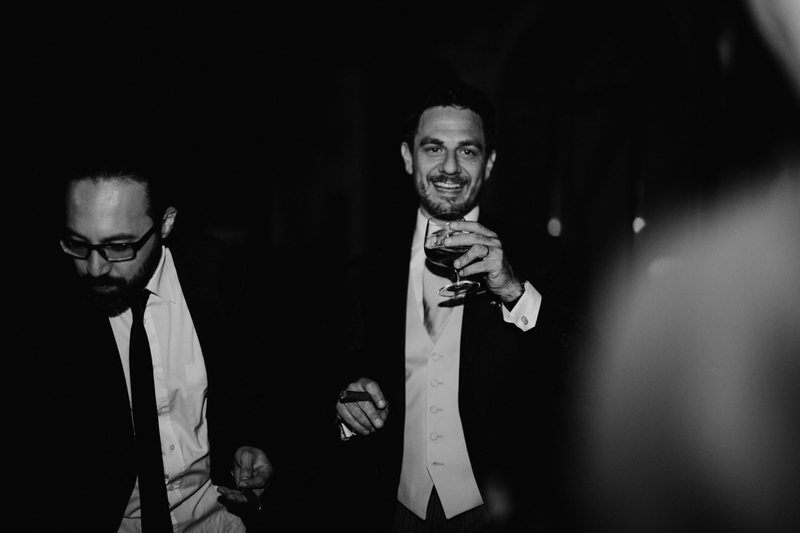 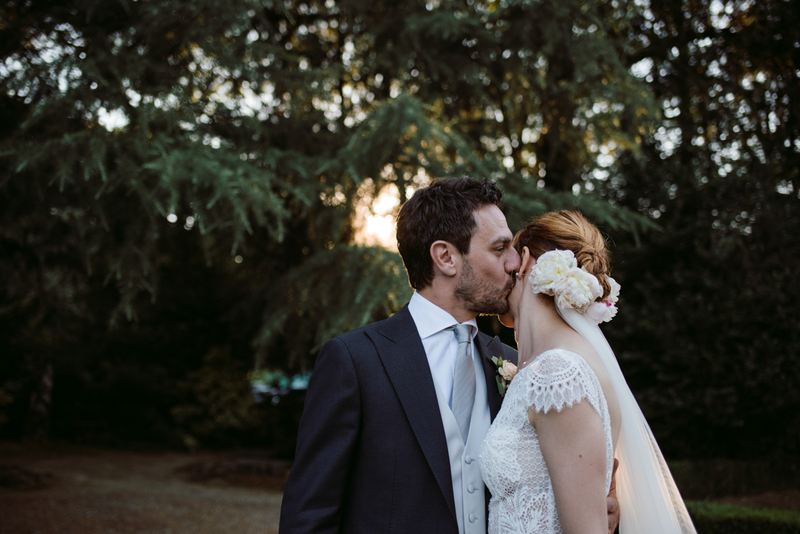 We worked as wedding photographers for this classy and so stylish couple, finding in them two beautiful persons, two fashion addicted guys and two party animals all at the same time! 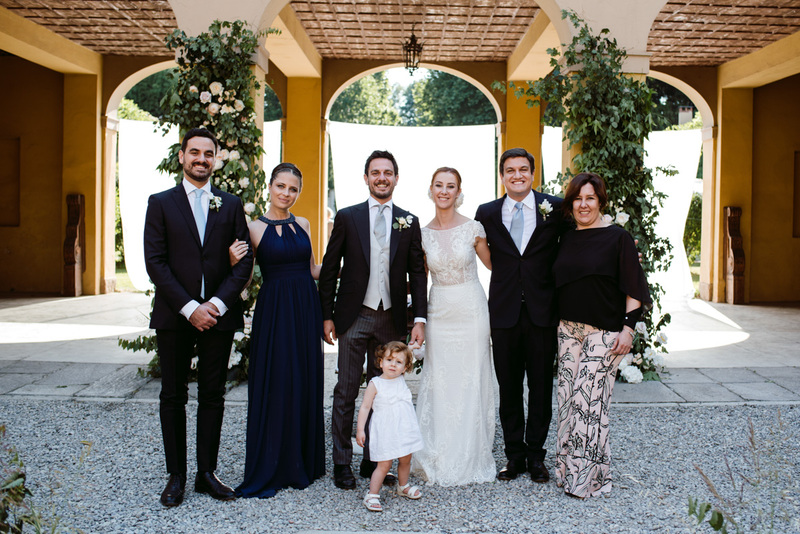 They’ve chosen for their refined wedding in Italian Villa a great team of professionals, coordinated by Confetti a Colazione, their wedding planner. 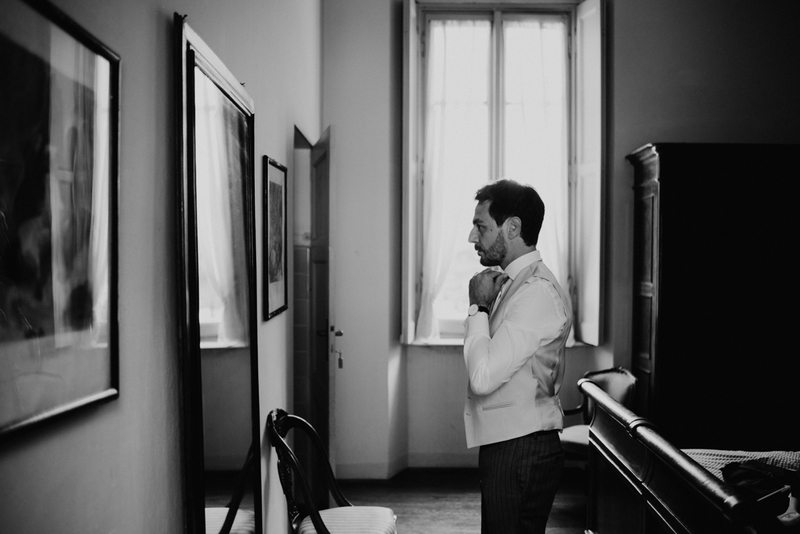 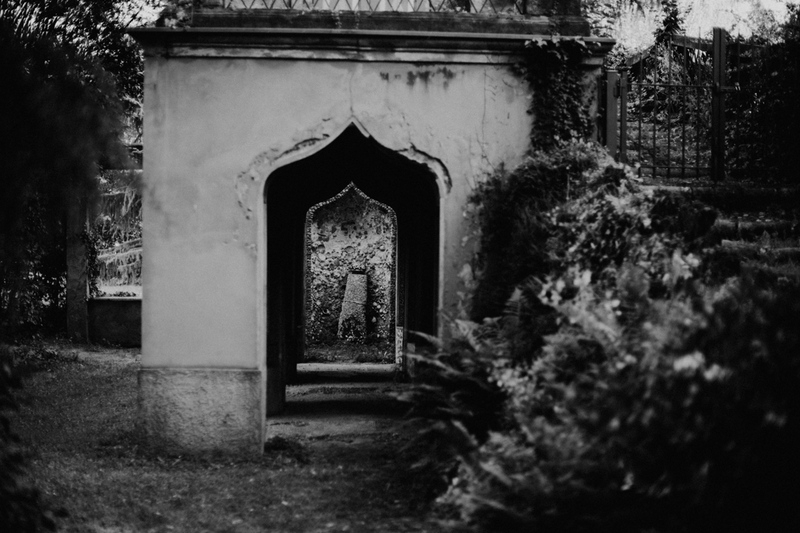 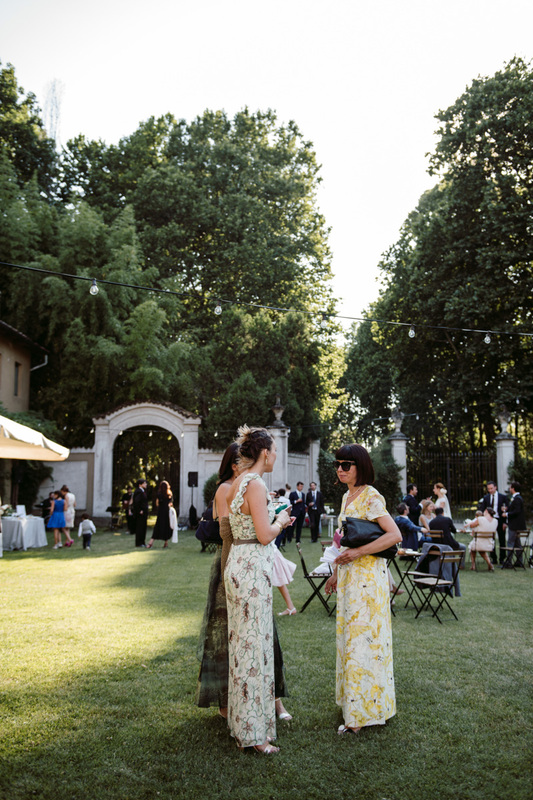 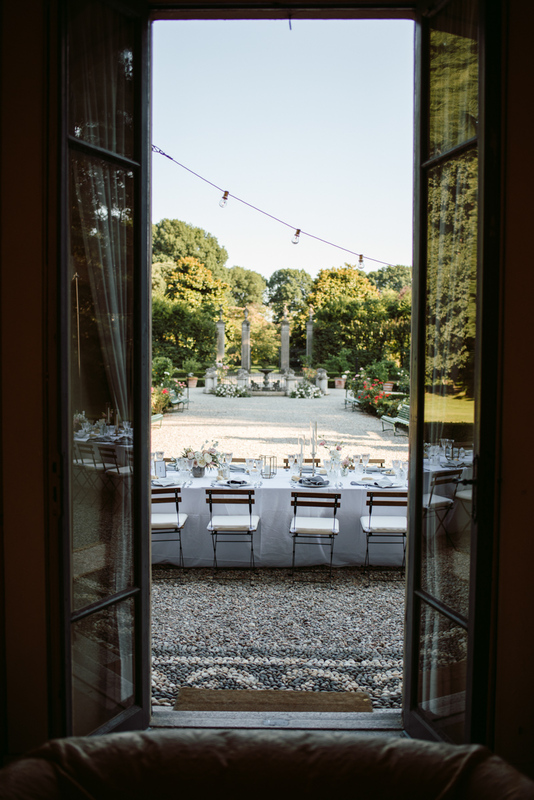 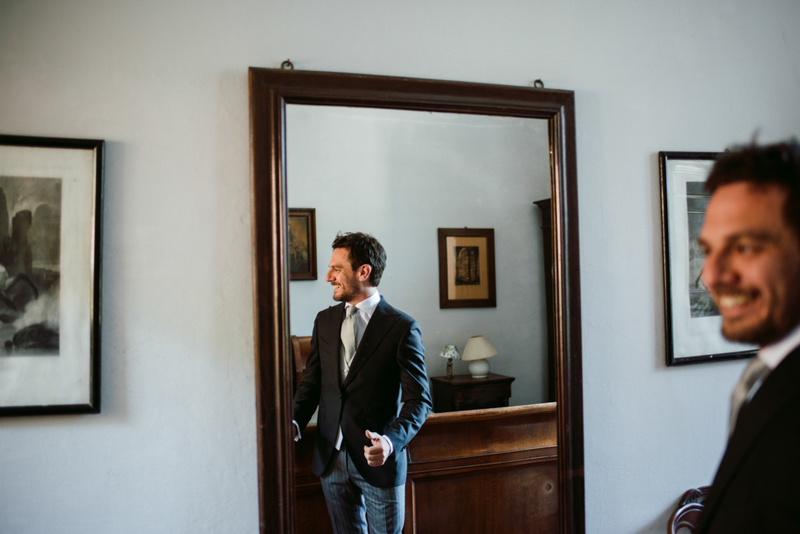 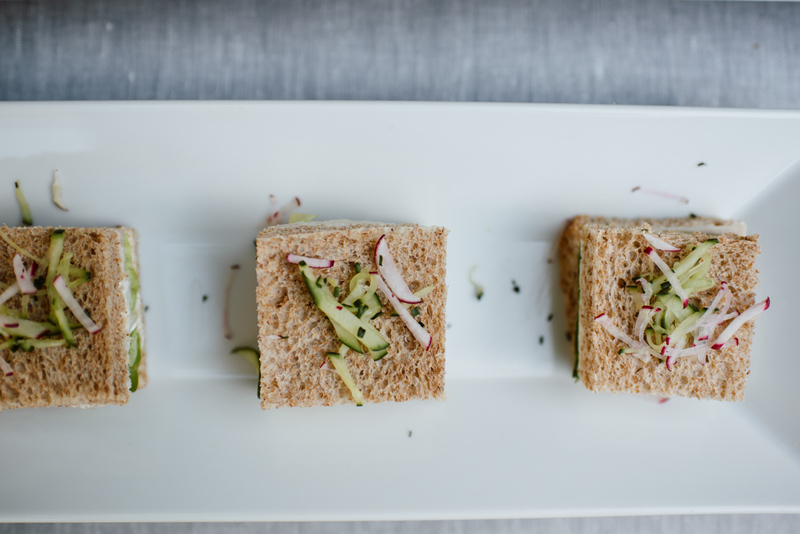 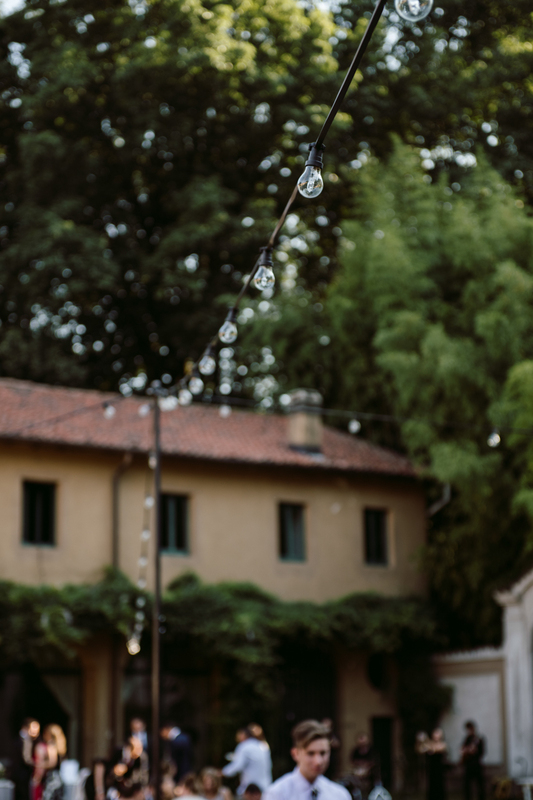 Every single detail was impeccable, in the classy frame of the typical Italian Villa: the Valera di Arese. 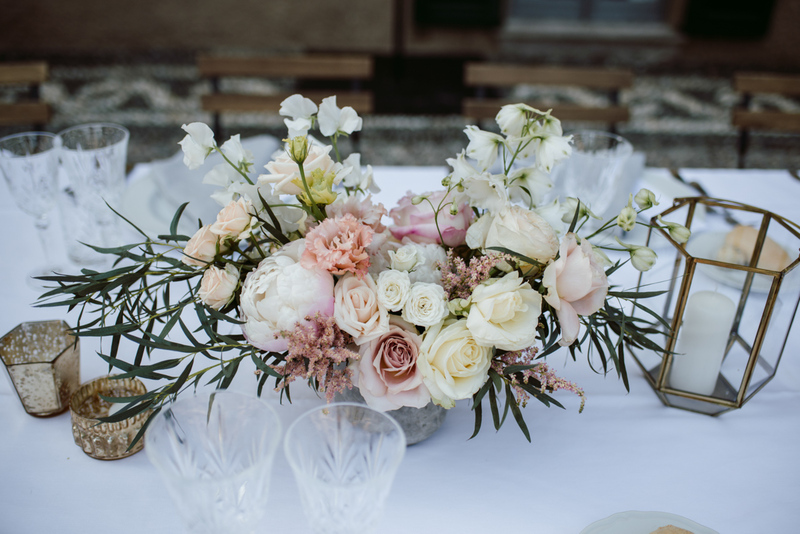 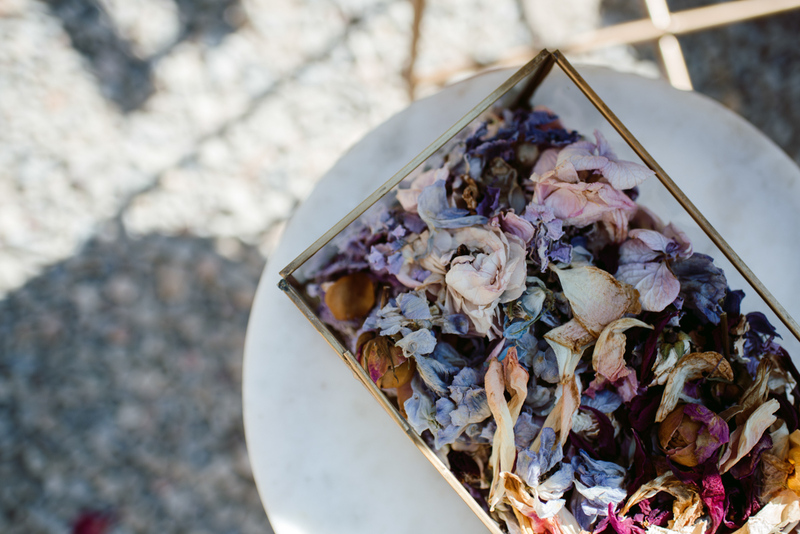 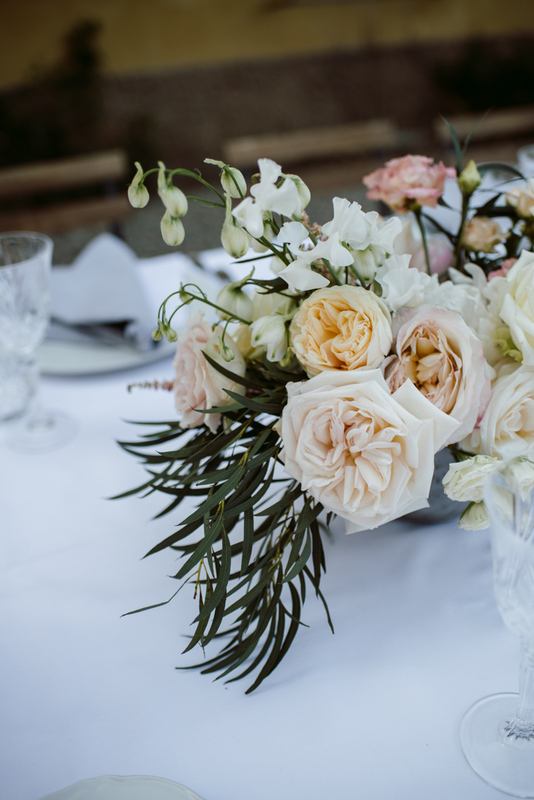 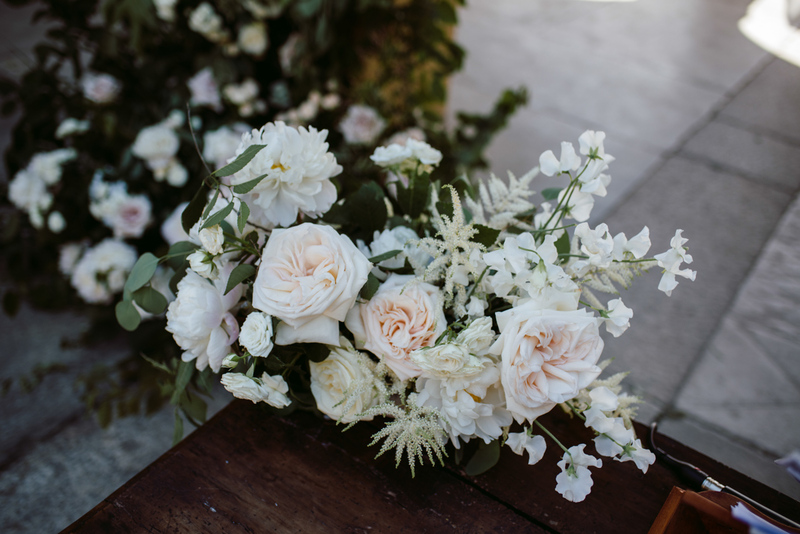 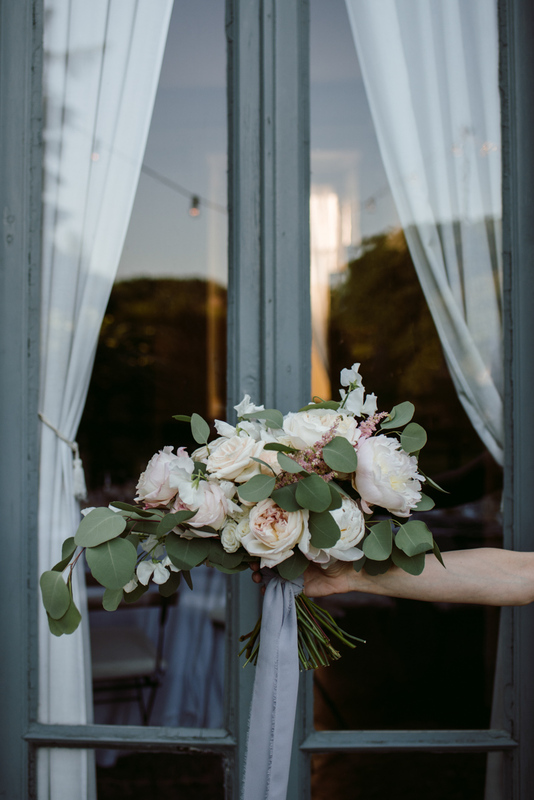 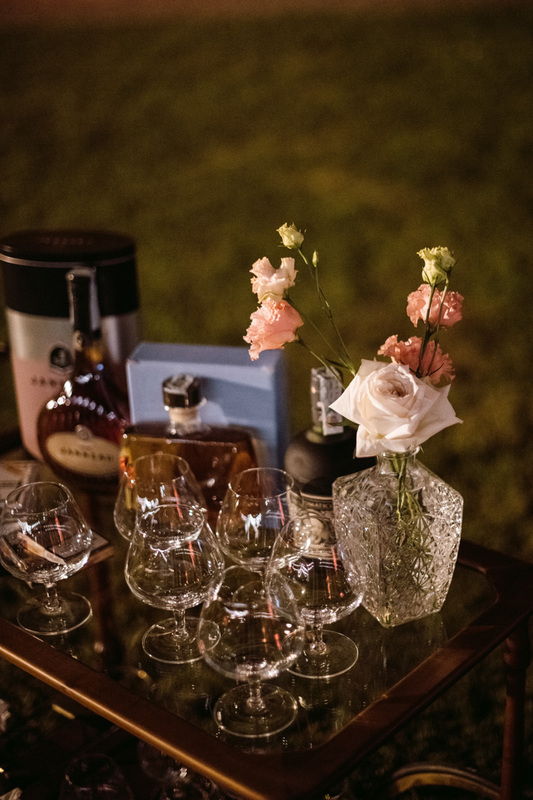 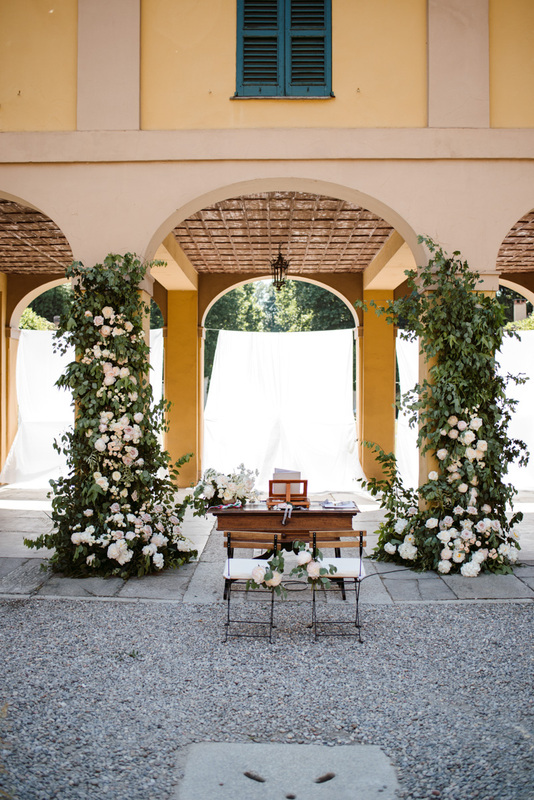 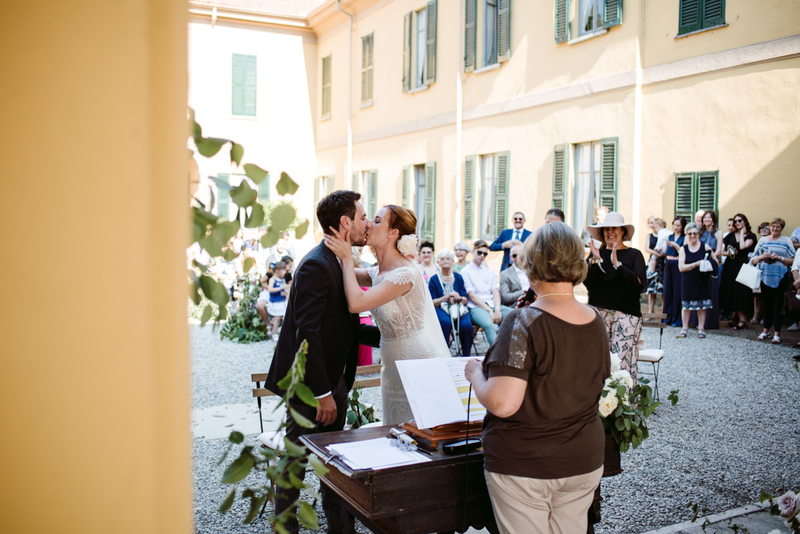 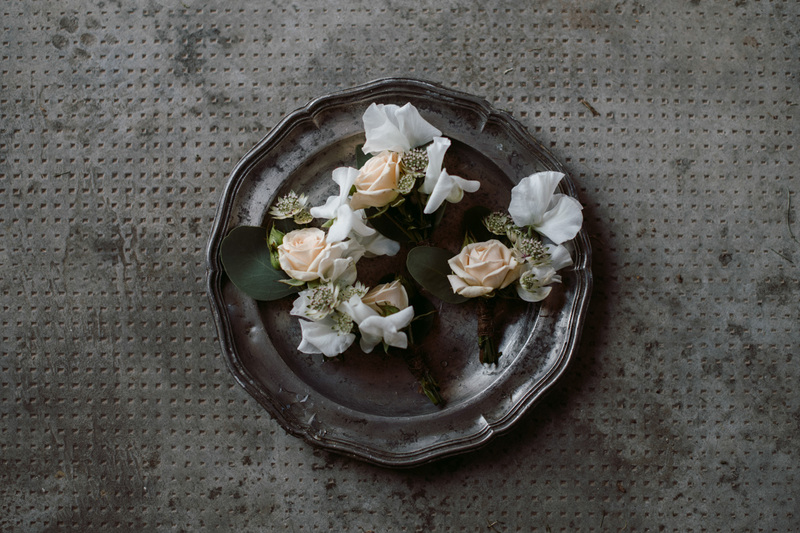 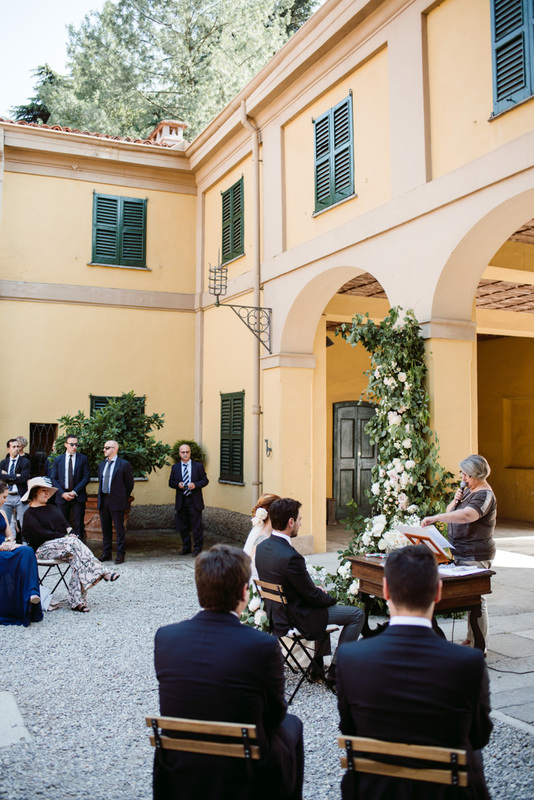 The ceremony was set in one of the courtyard of the Villa, with a dramatic flower setting made by Il Profumo dei Fiori. 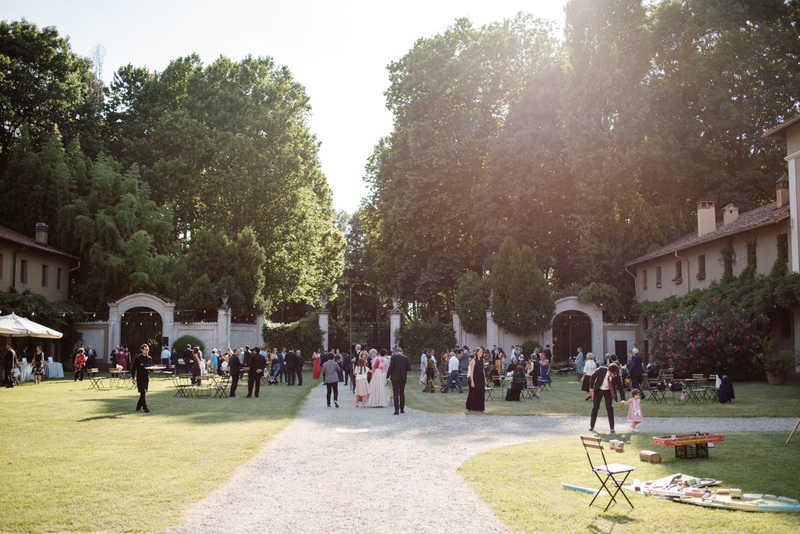 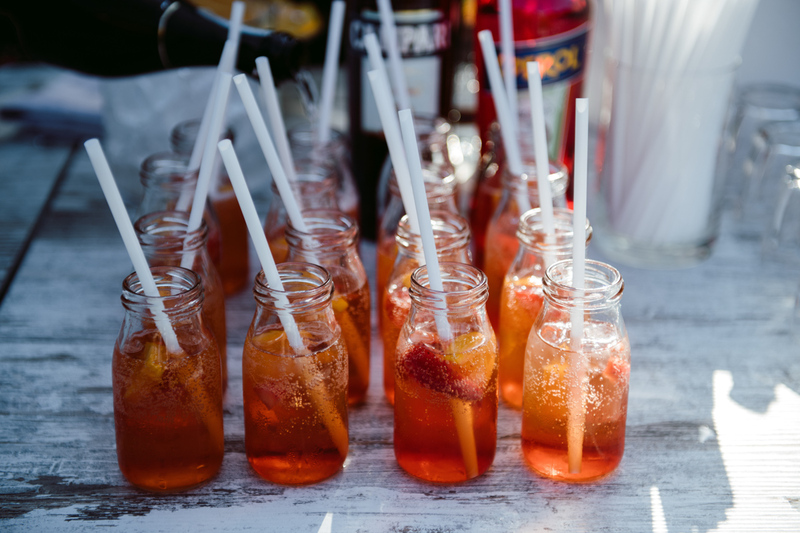 We waited the late afternoon for starting the celebration, it was the first day os Summer and the sun was really hot! 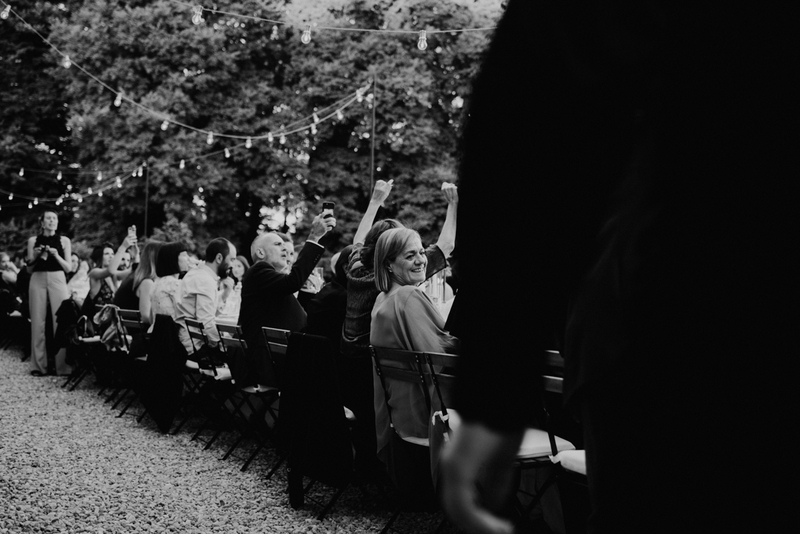 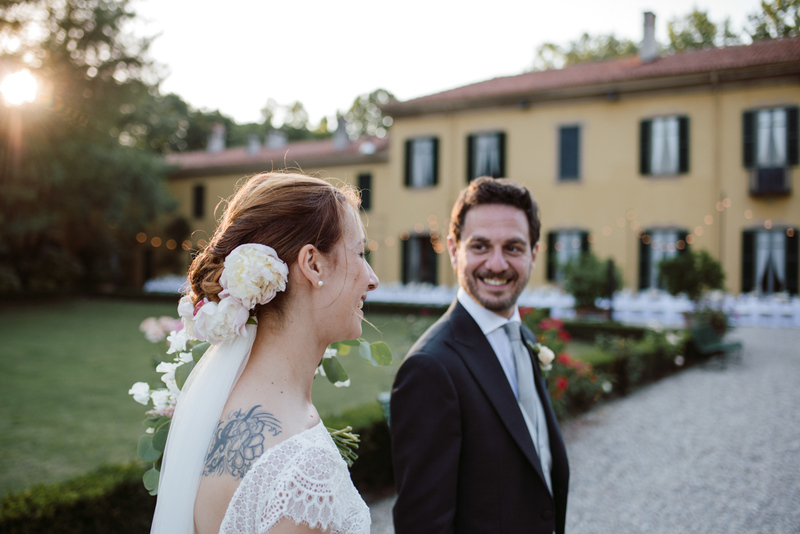 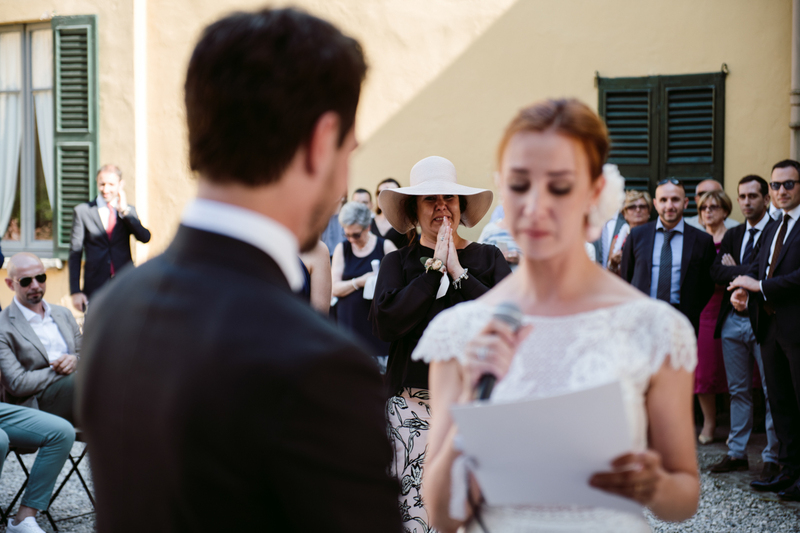 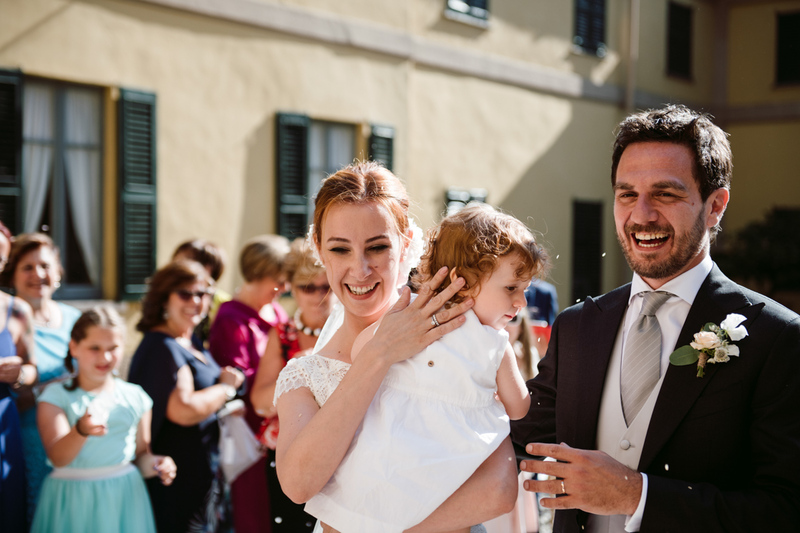 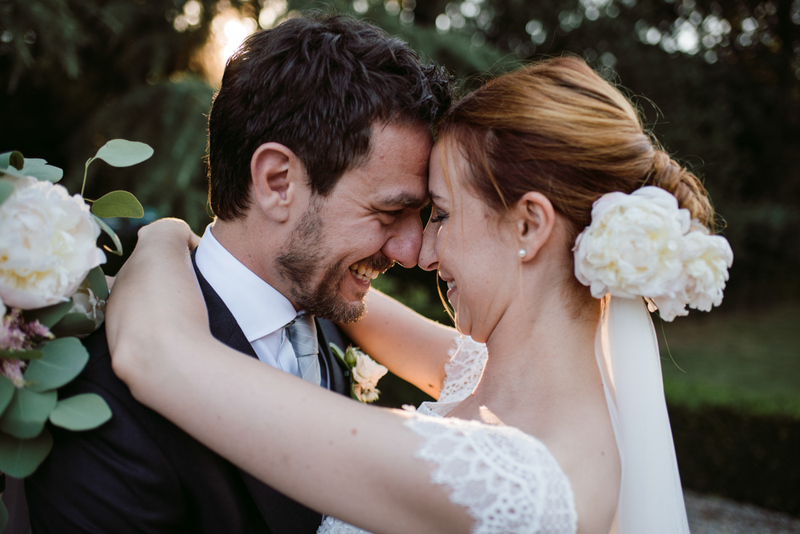 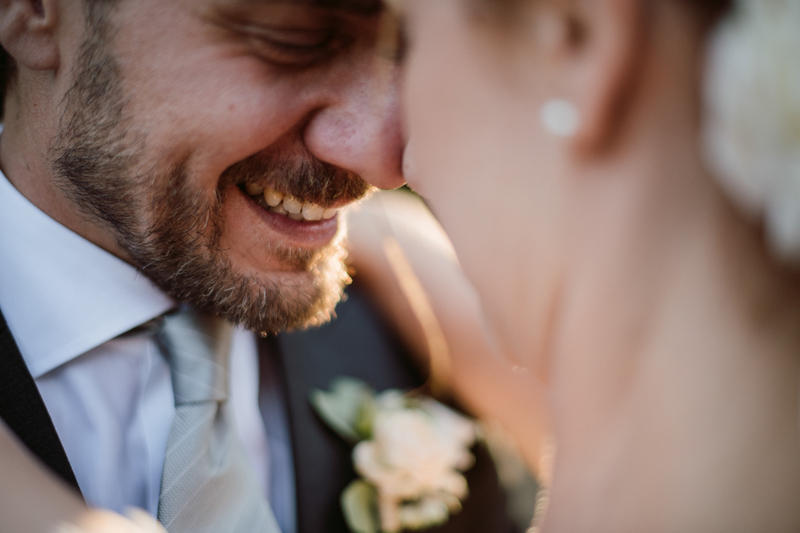 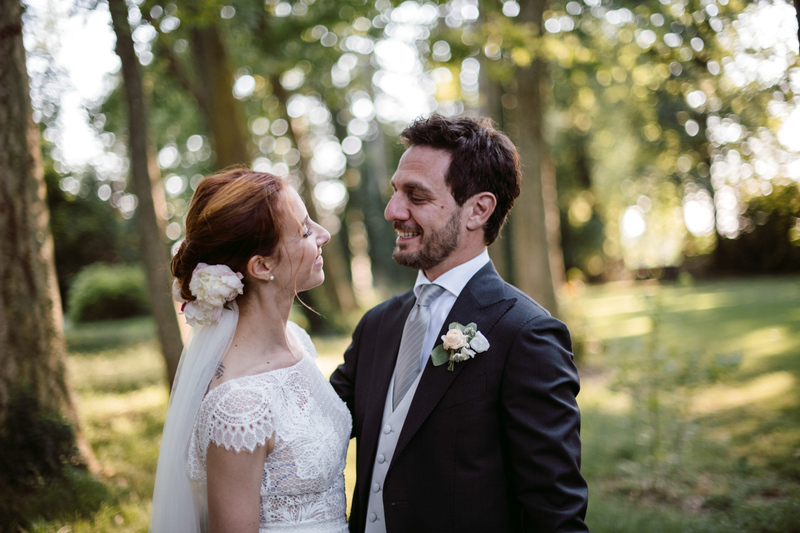 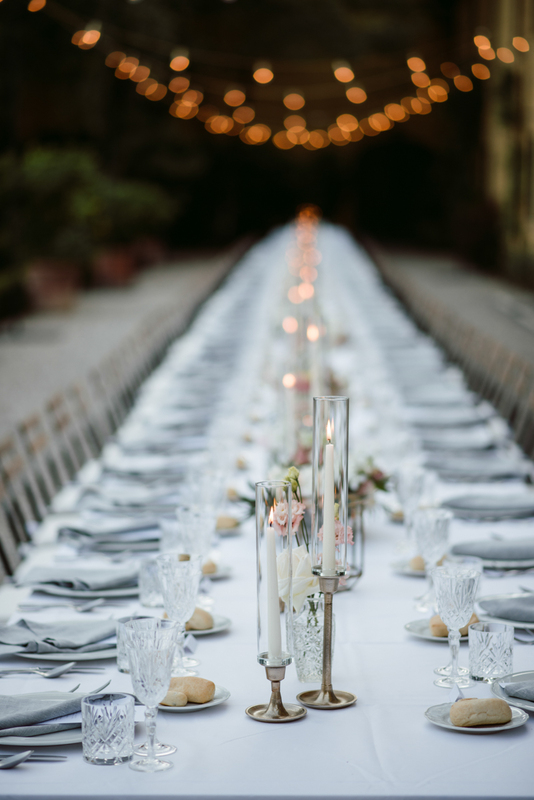 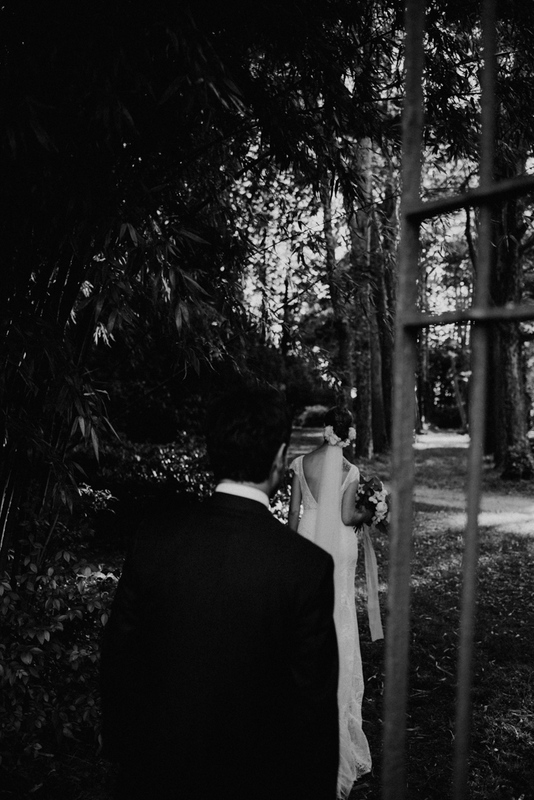 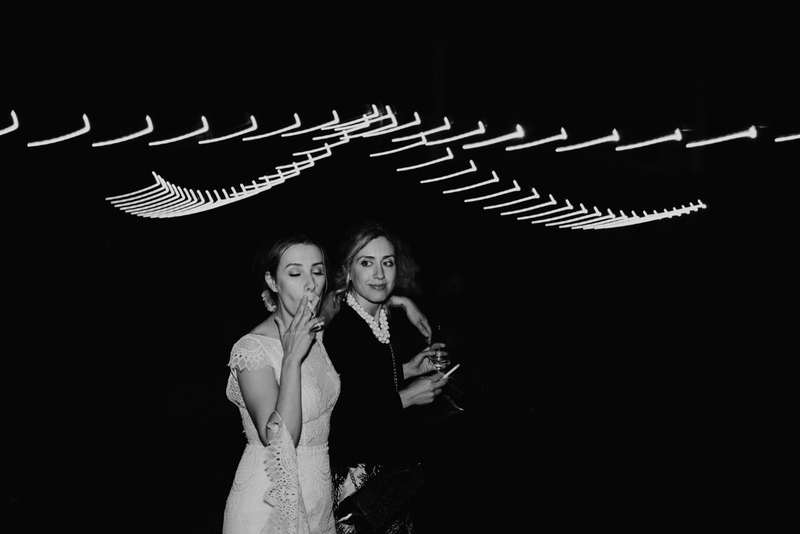 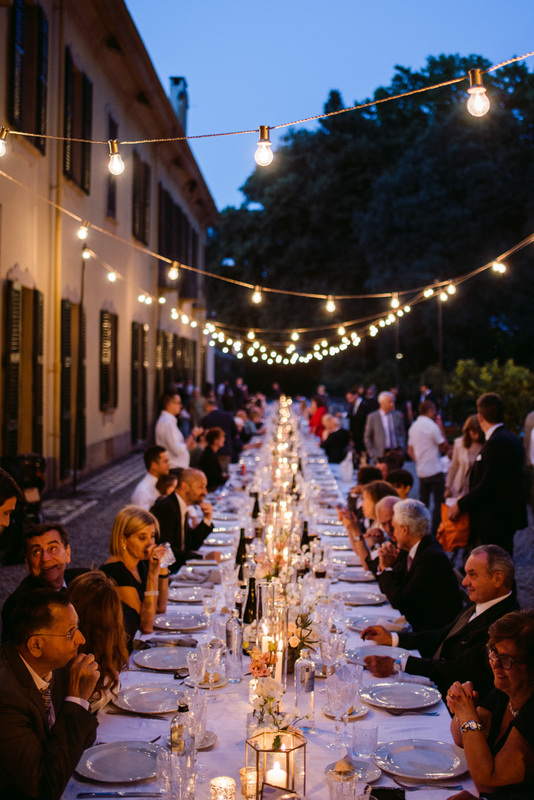 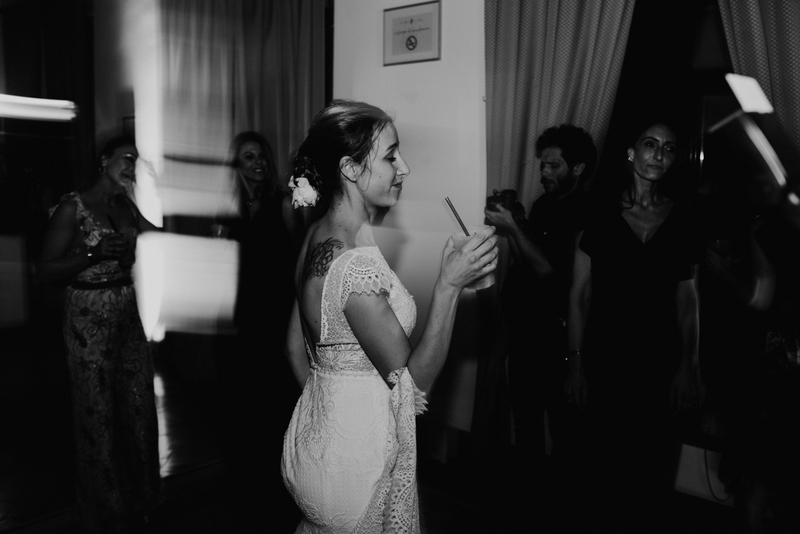 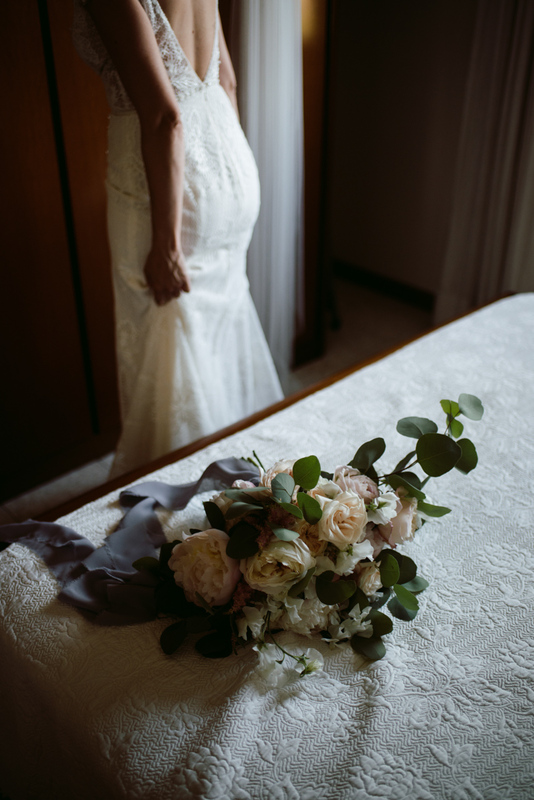 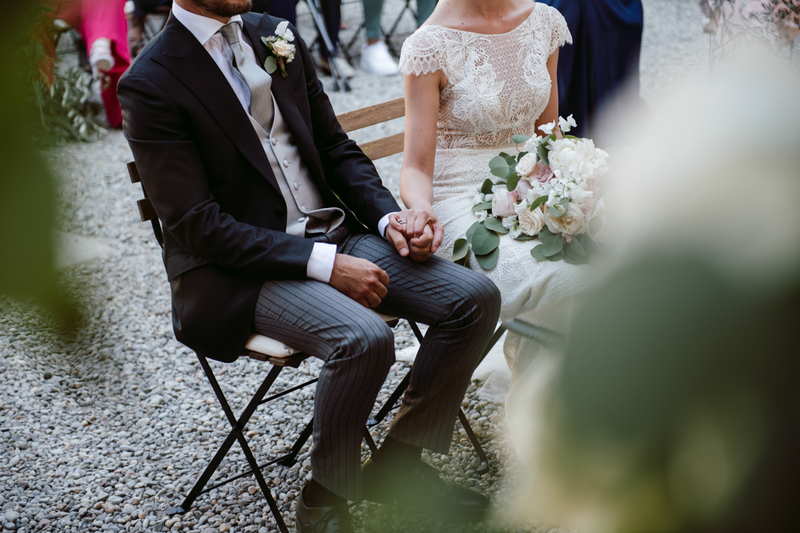 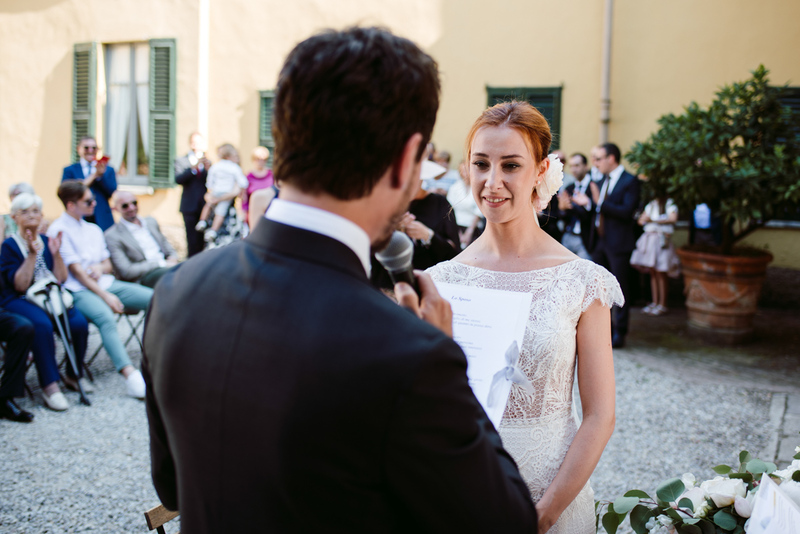 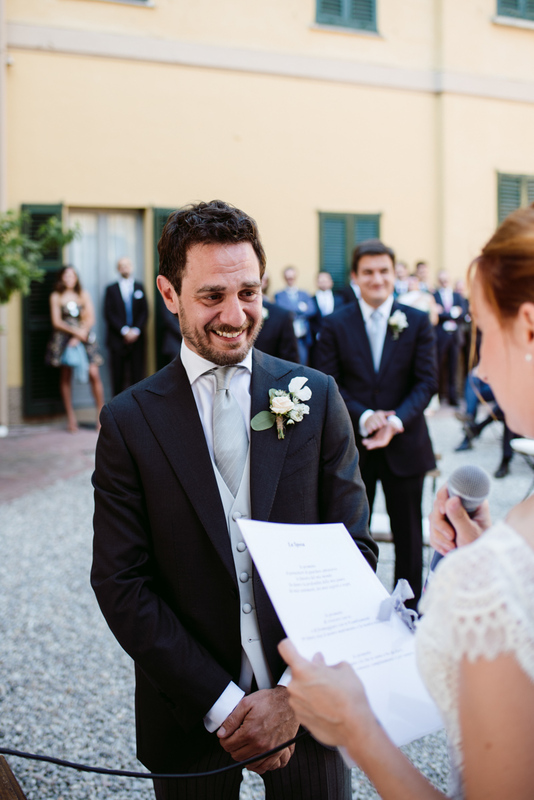 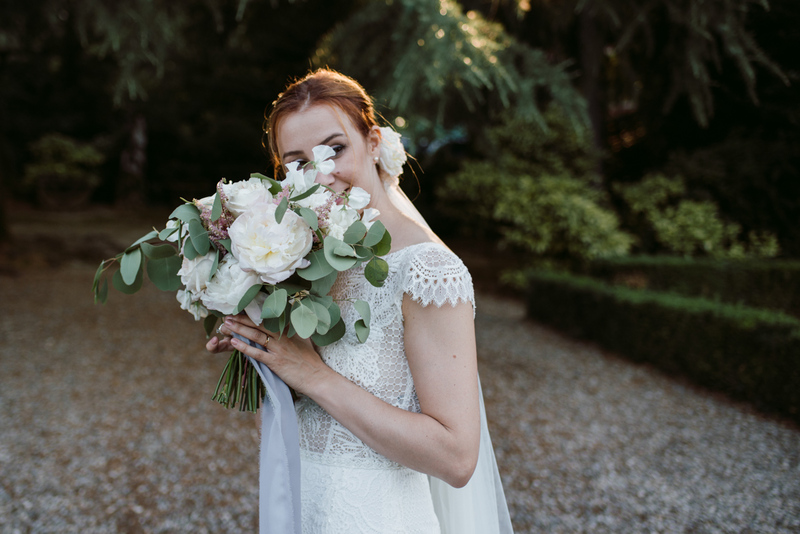 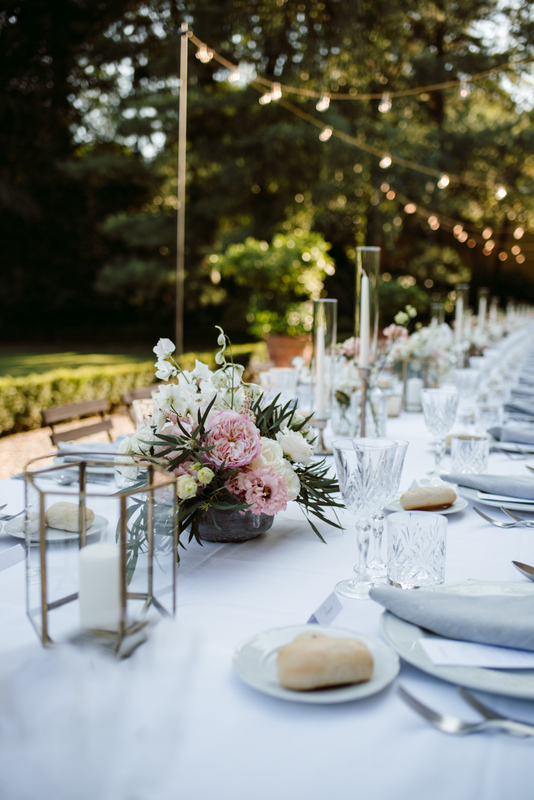 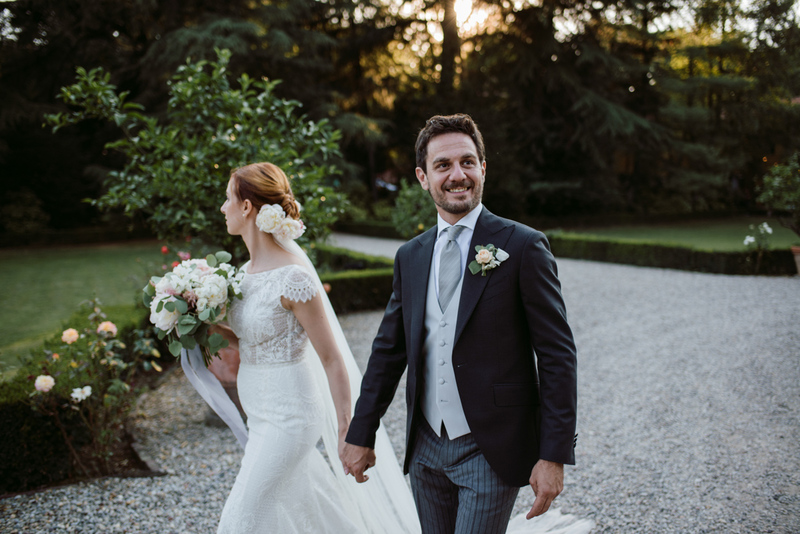 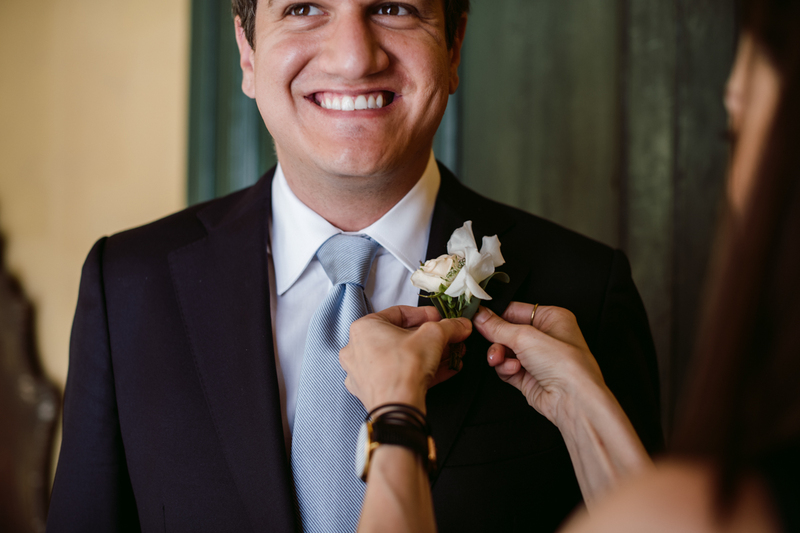 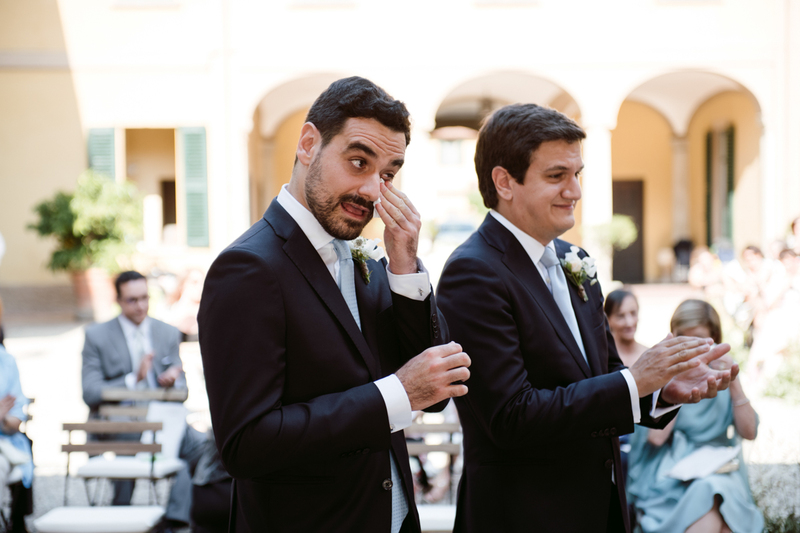 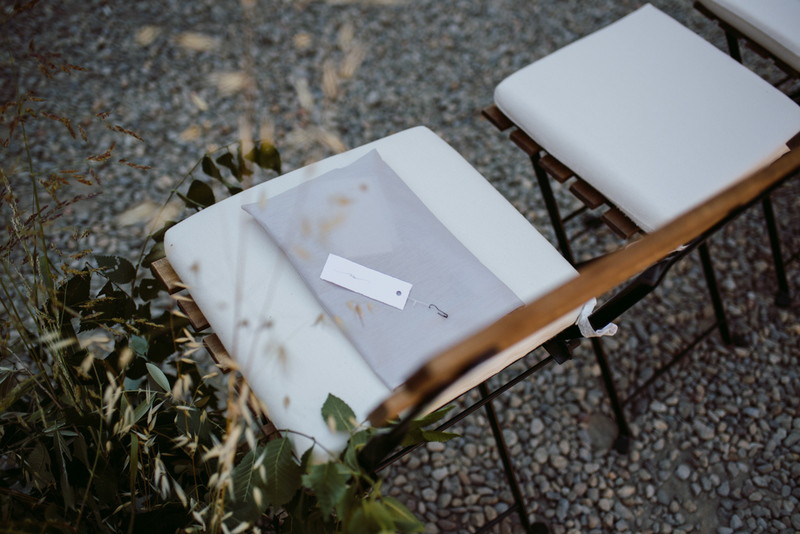 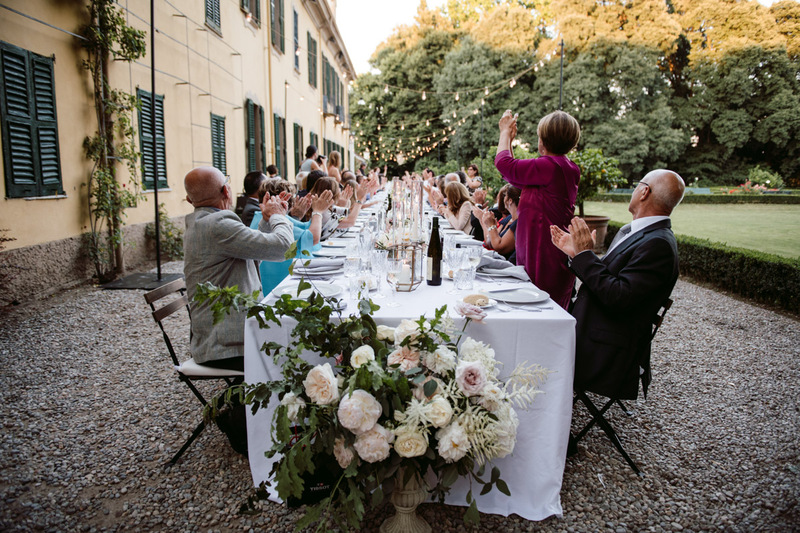 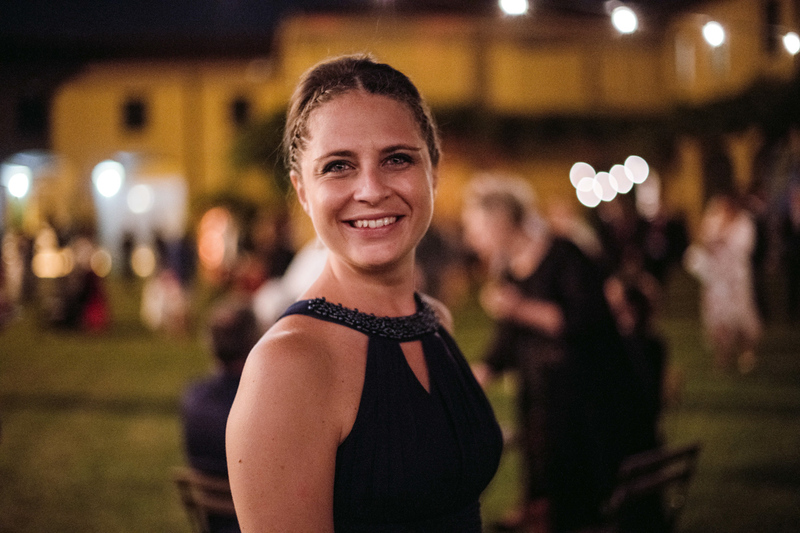 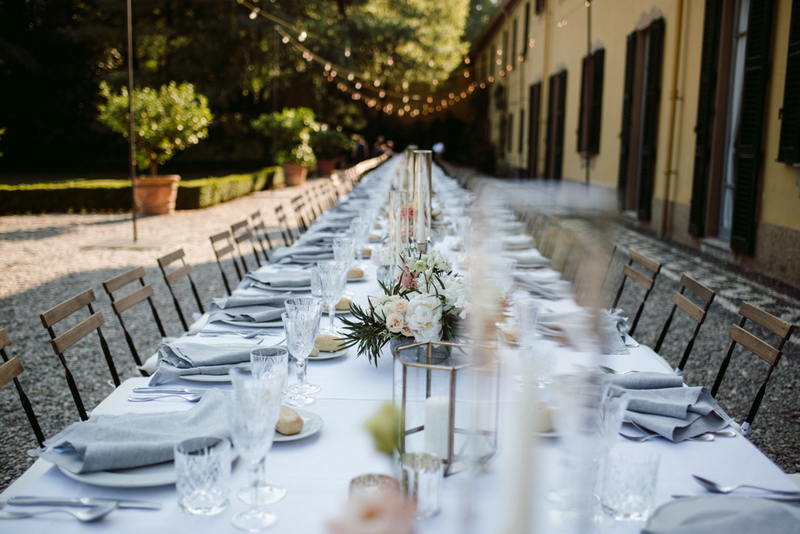 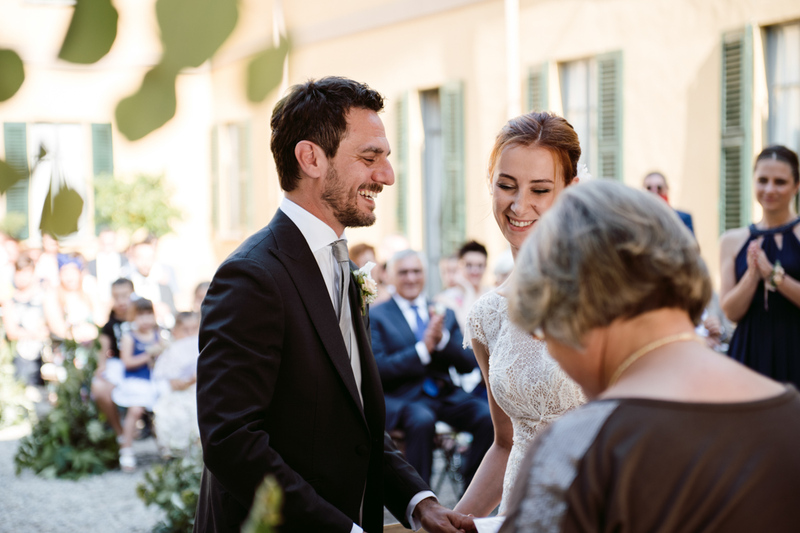 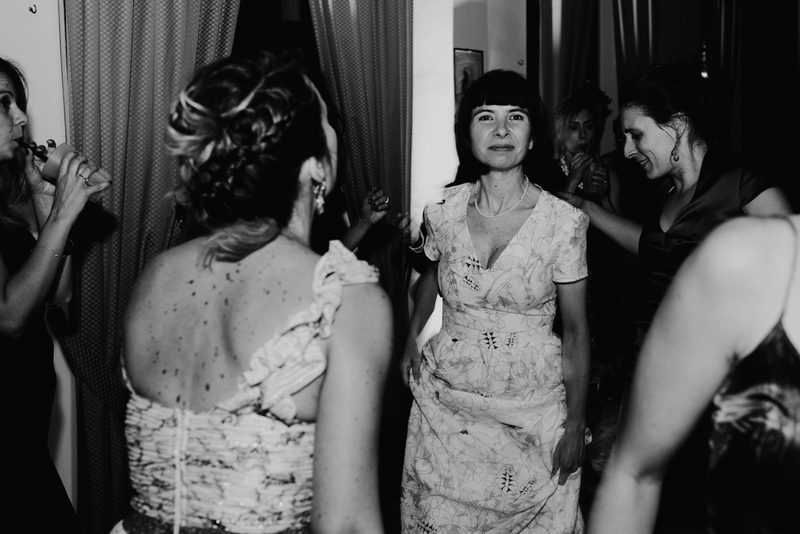 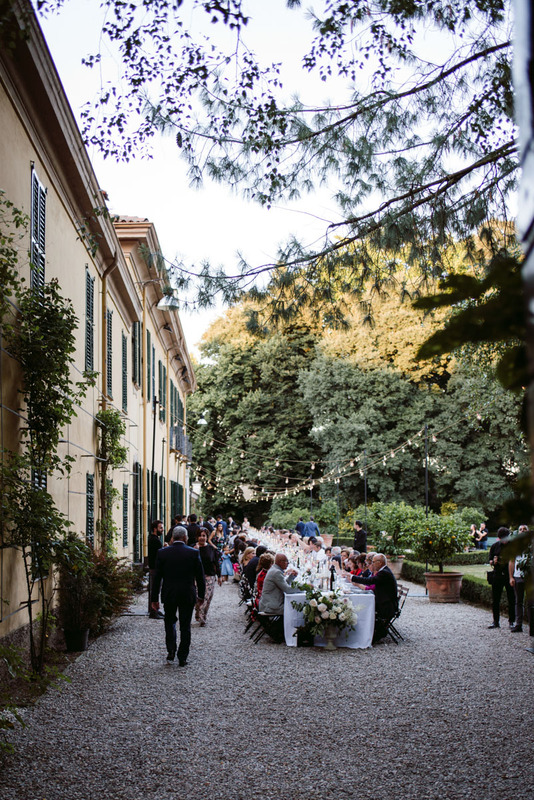 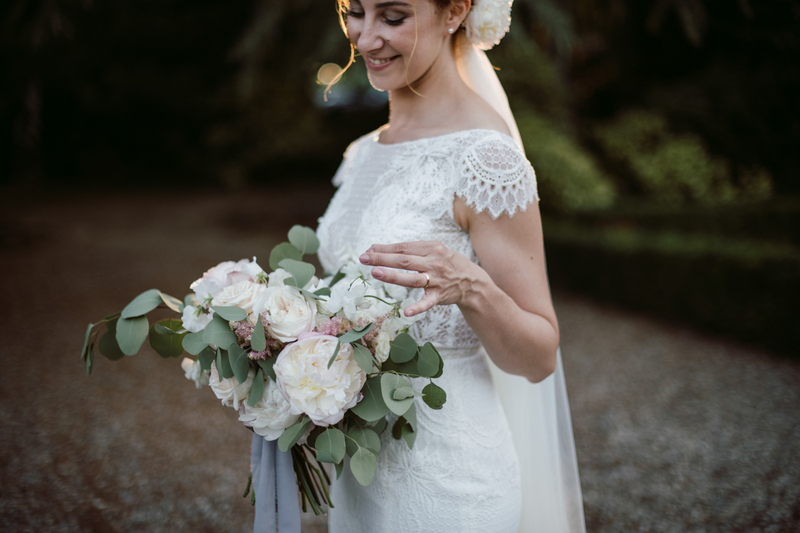 After a touching and deep emotional vows exchange between Manfredi and Noemi, they and their guests moved in another garden of the Villa to start the reception. 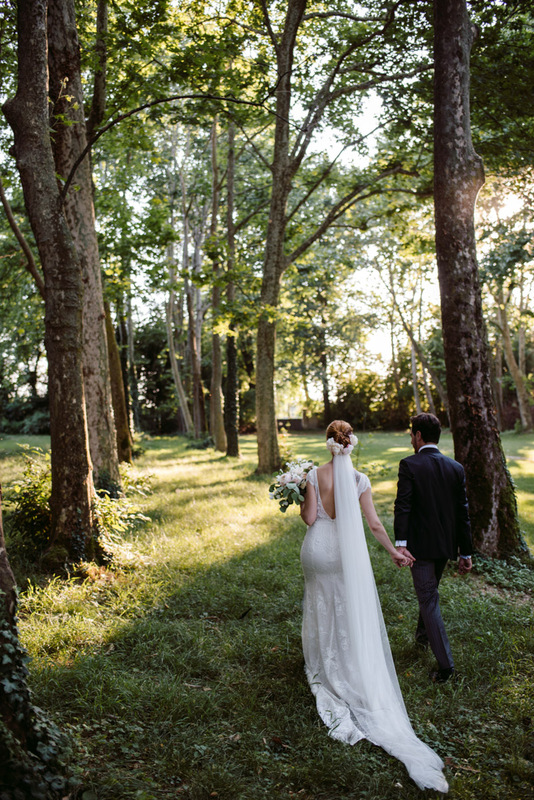 Thanks to the longest day of the year, we could shoot the portrait session in the very late part of the day, taking it easy in the embrace of a summer sunset. 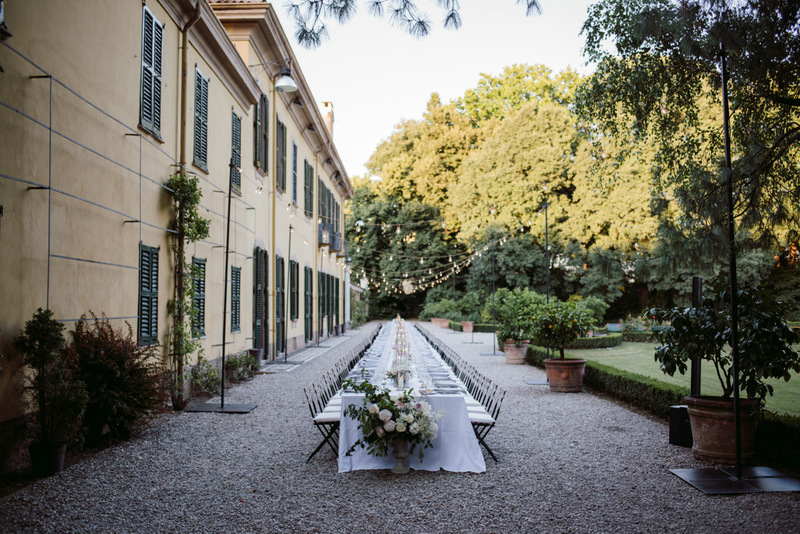 Time for dinner and yes, another stunning yard was waiting for us! 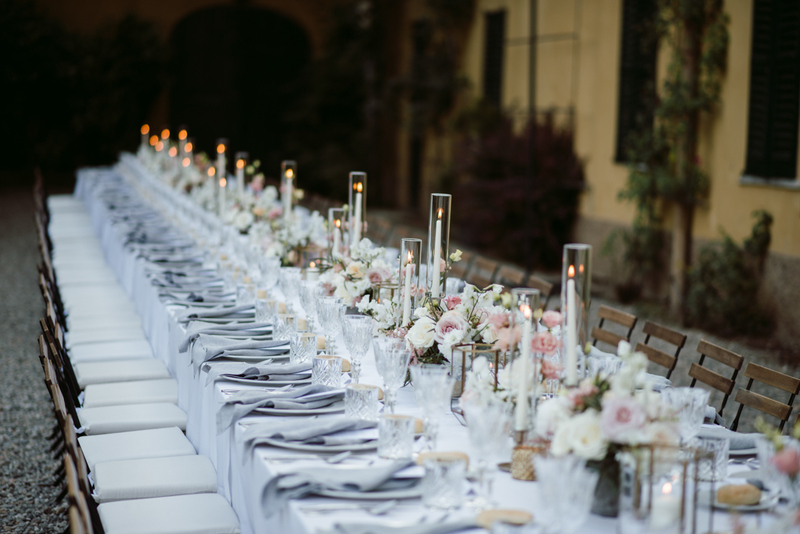 And another dramatic setting also for the al fresco wedding dinner: a long imperial table, a delicate color palette, refined details and the most amazing flowers again. 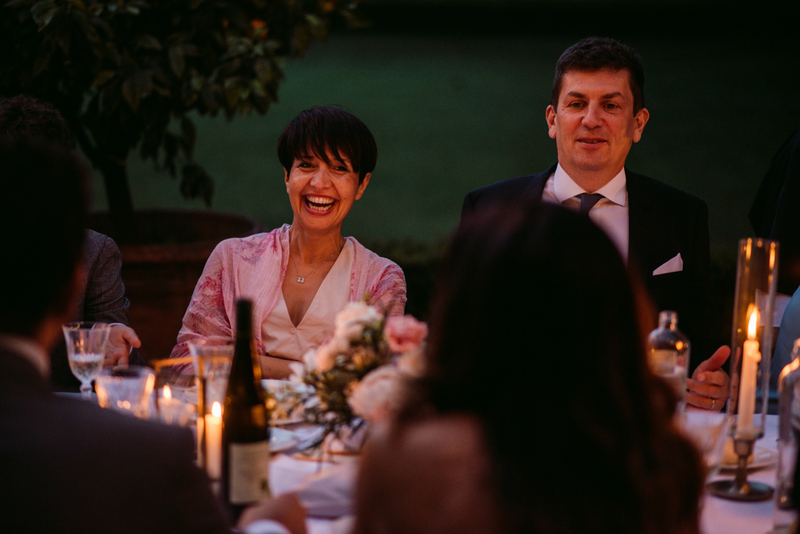 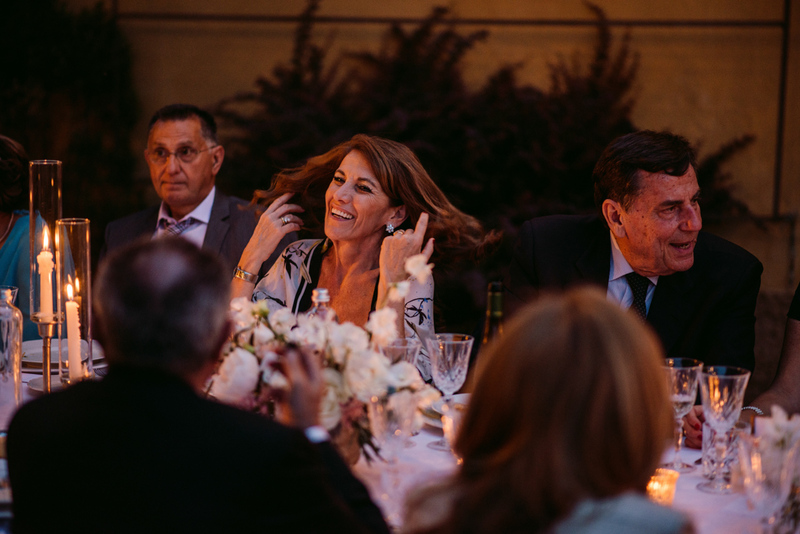 Guests enjoyed the dinner until the end, chatting and drinking and having so much fun. 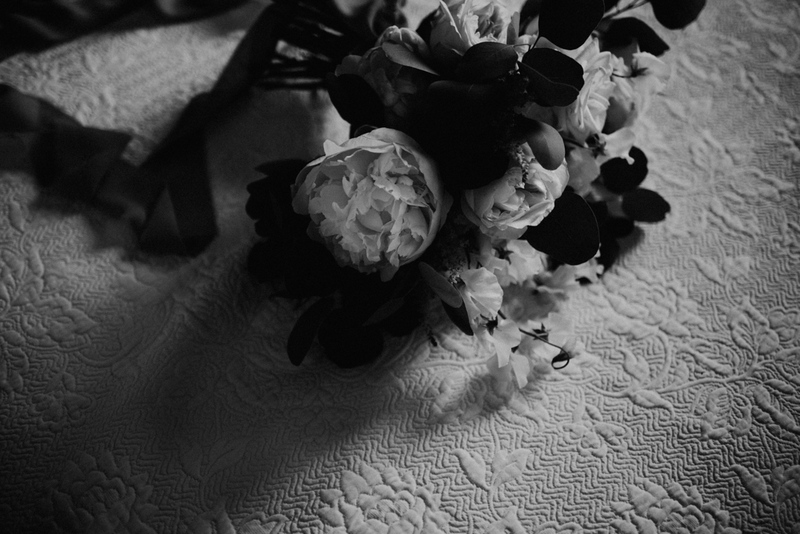 Last step? 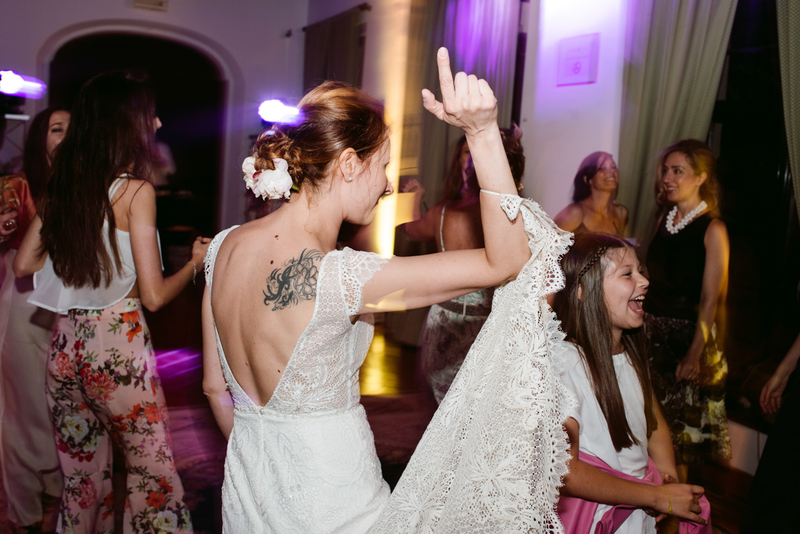 A wild and rock party for everyone!